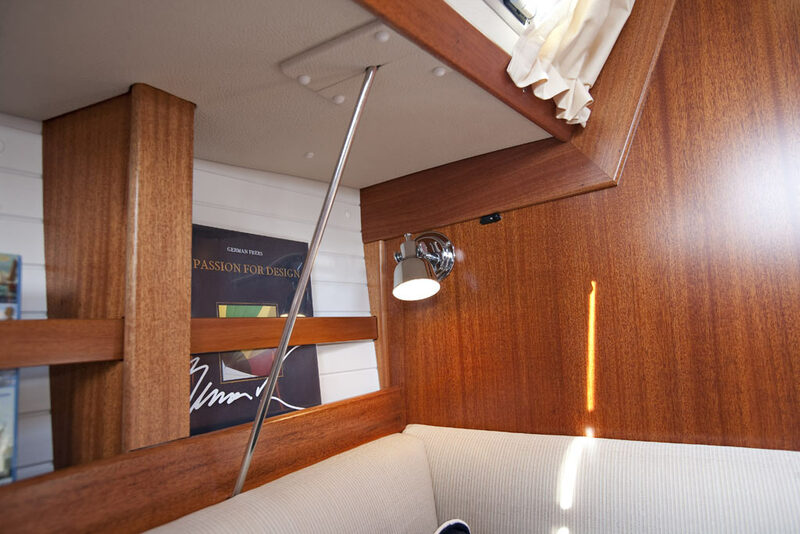 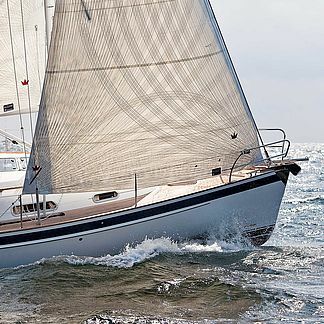 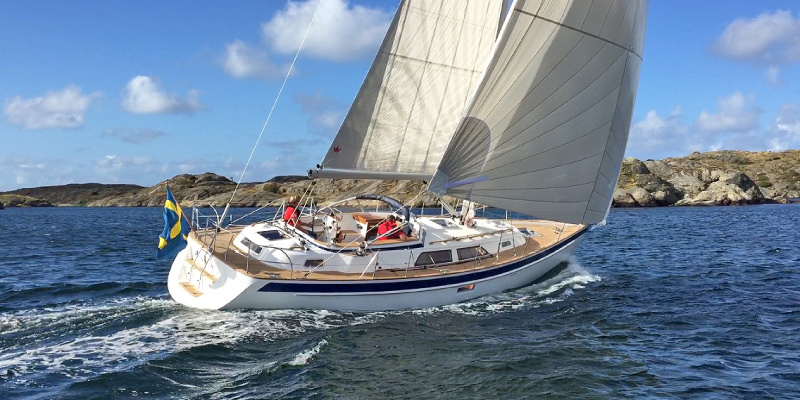 "THE DREAM YACHT WITHIN REACH"
The Hallberg-Rassy 310 is easy to sail with her contemporary hull lines and modern sailplan with only slightly overlapping genoajib or optional selftacker. 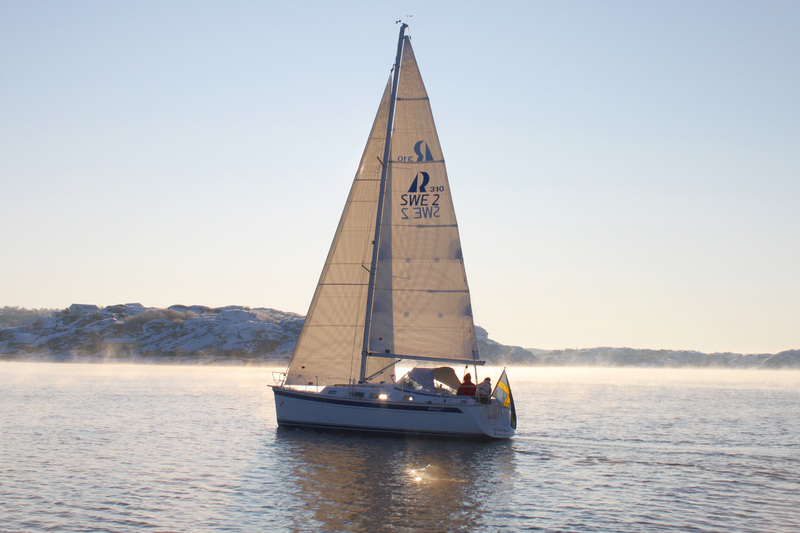 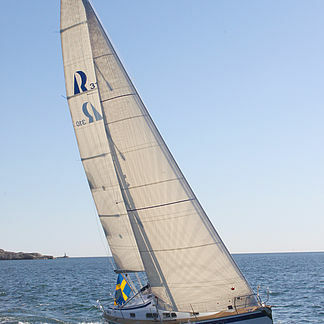 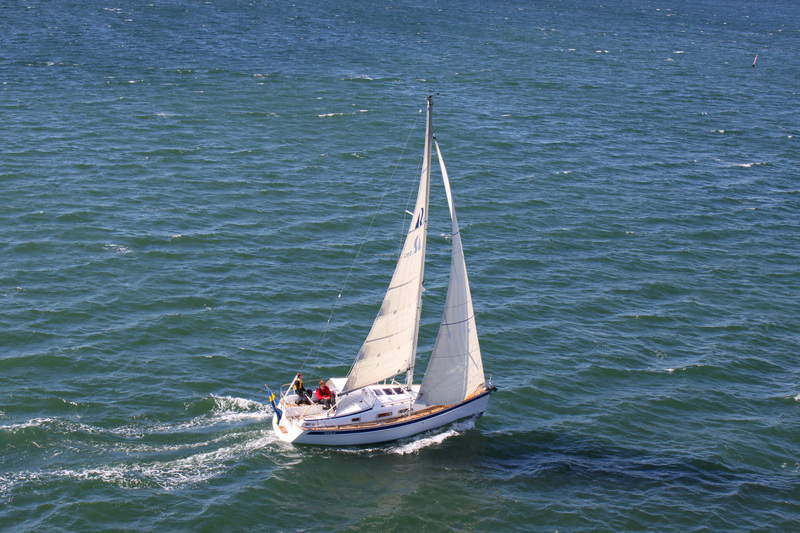 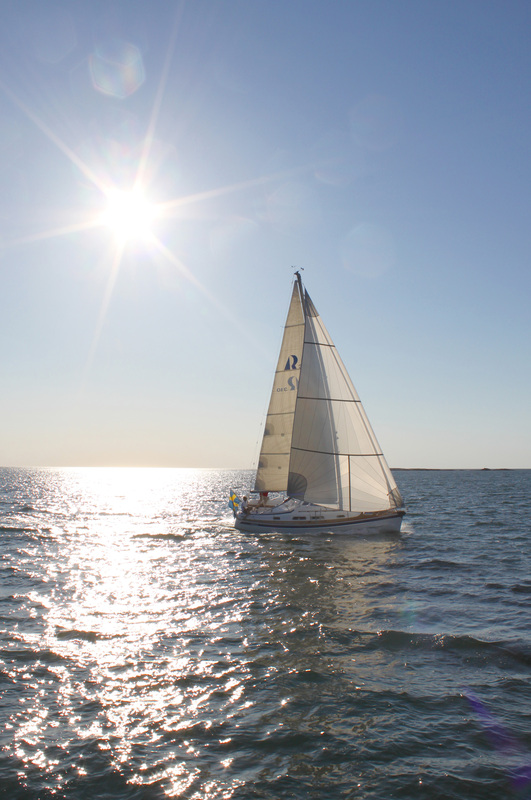 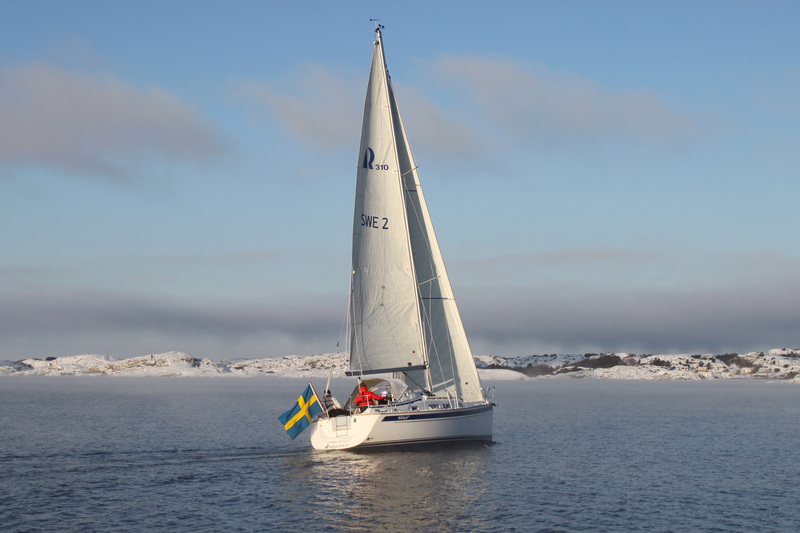 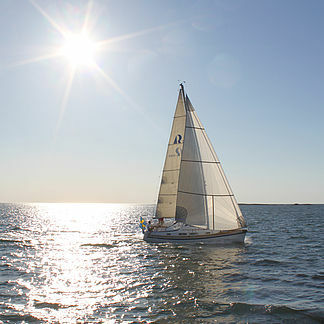 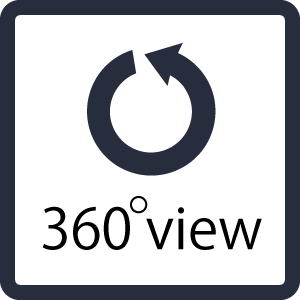 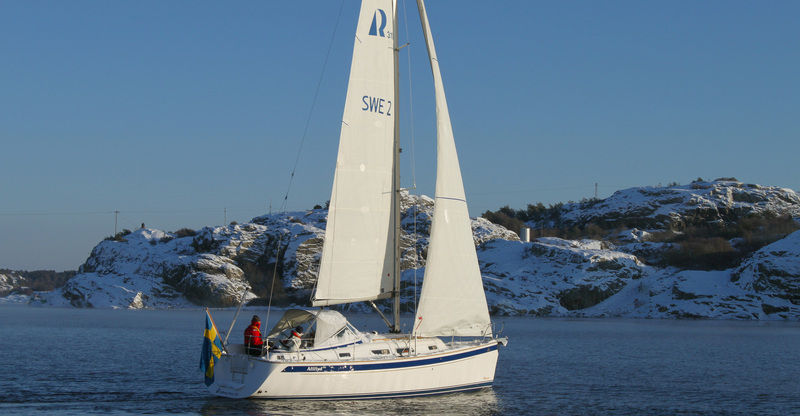 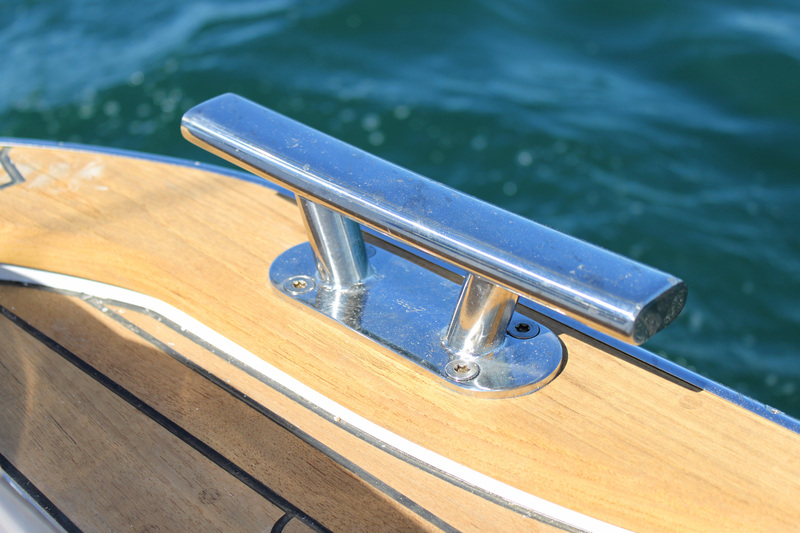 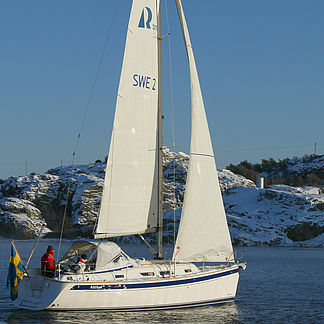 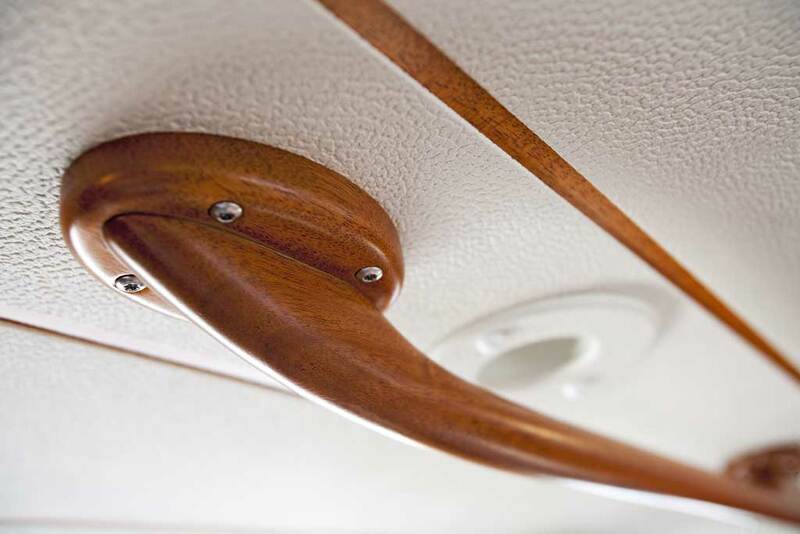 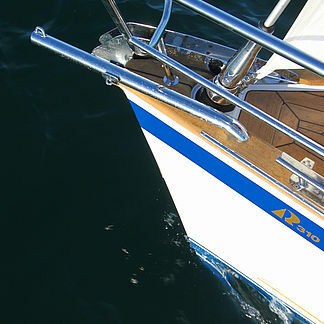 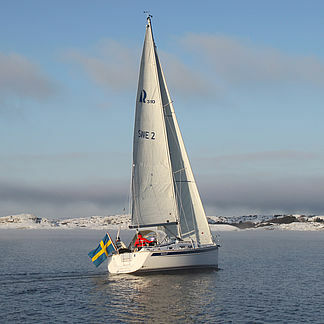 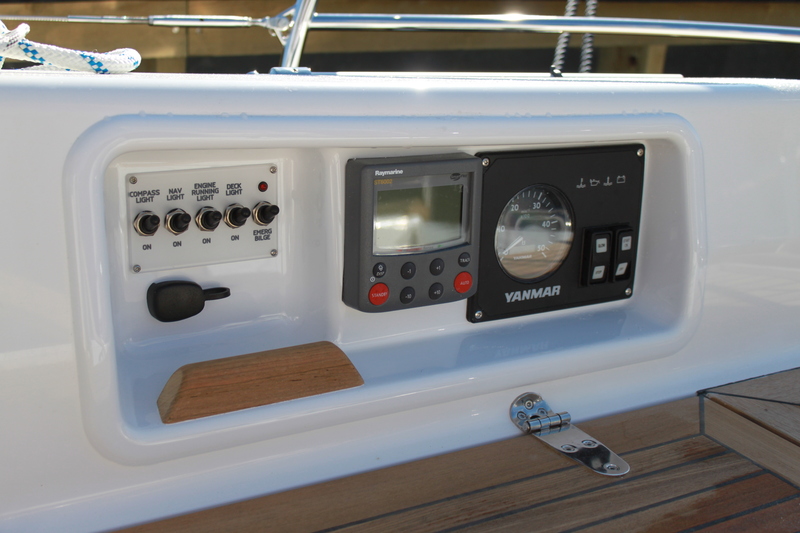 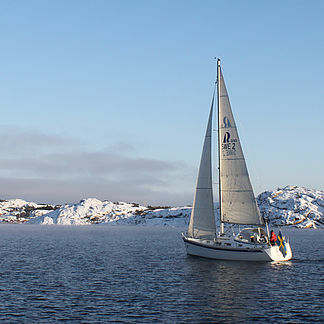 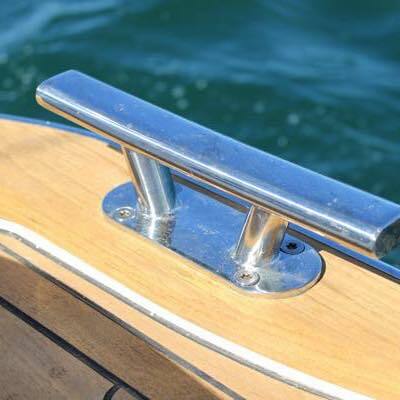 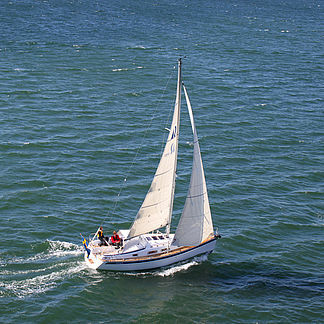 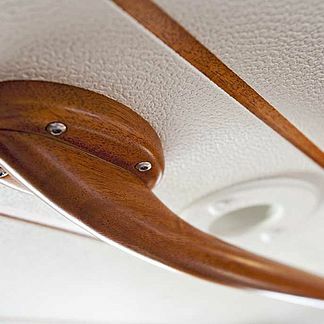 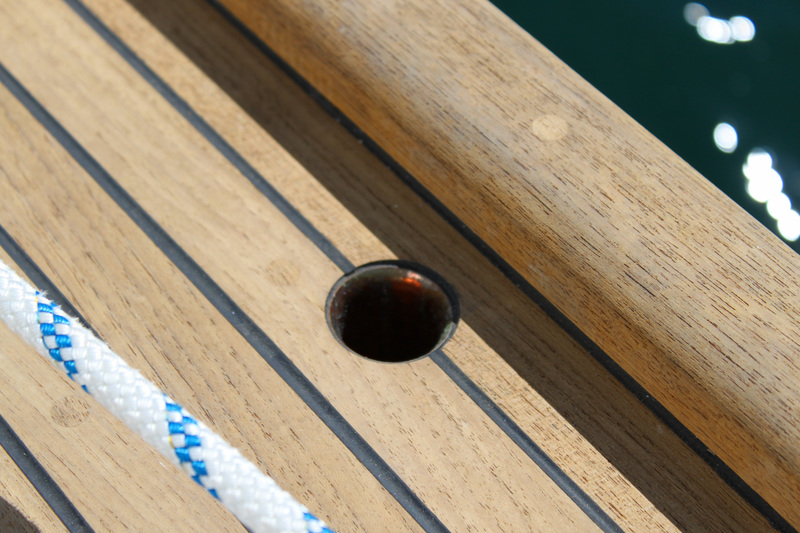 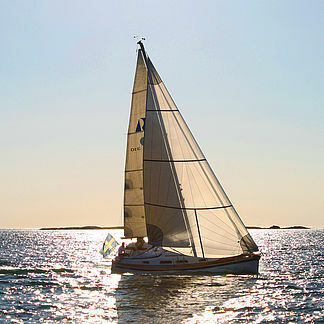 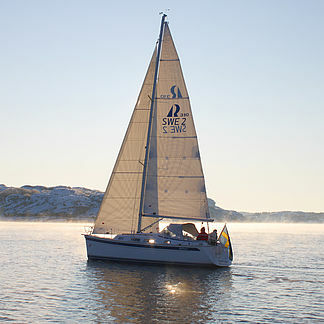 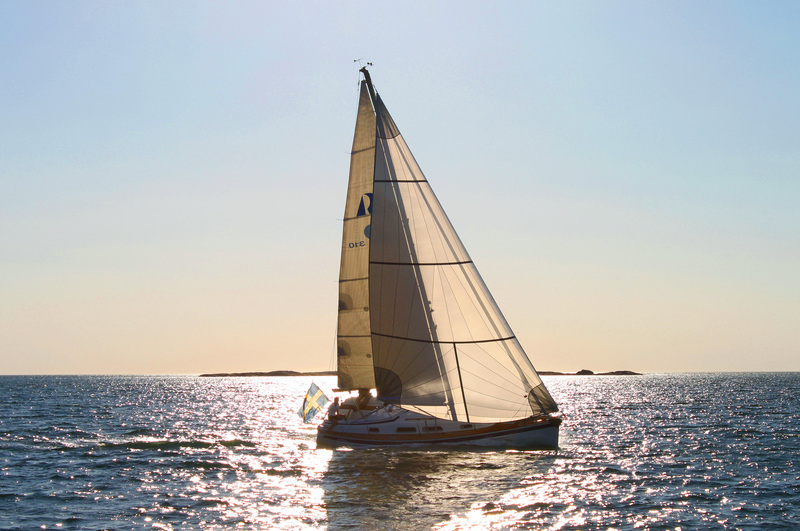 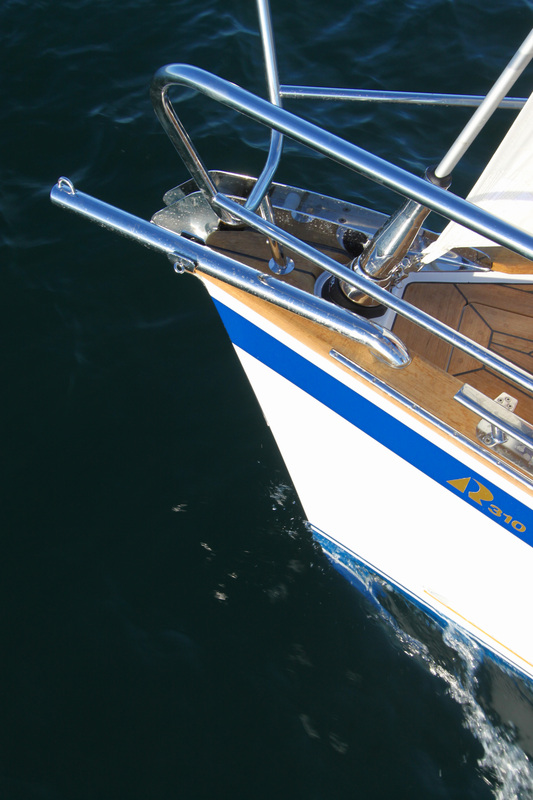 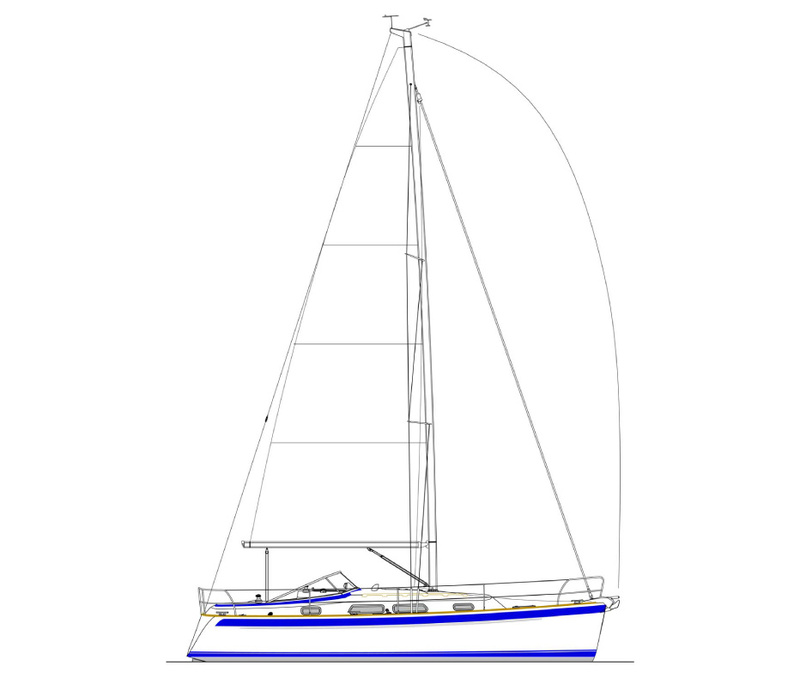 A Code Zero or gennaker may be flown between the masthead and a removable bowsprit. 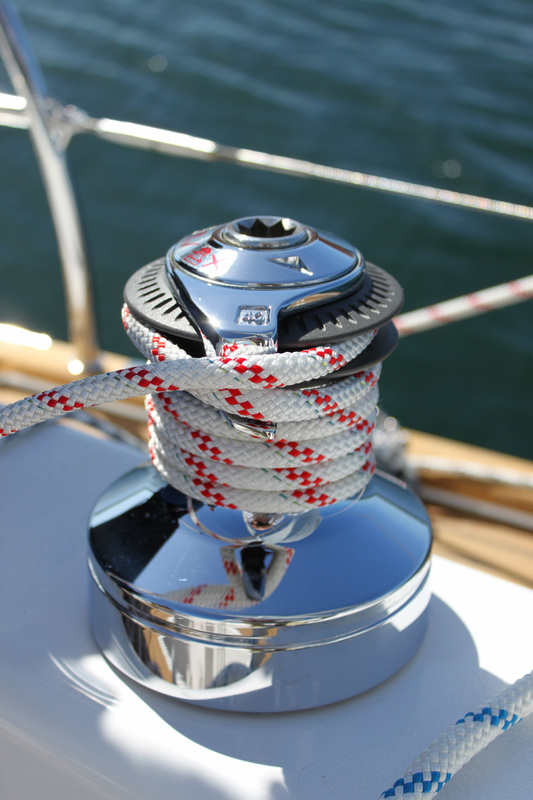 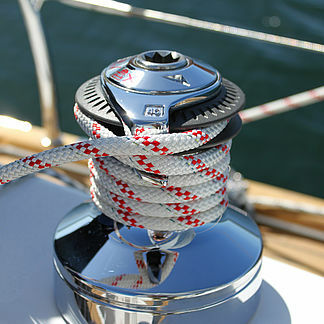 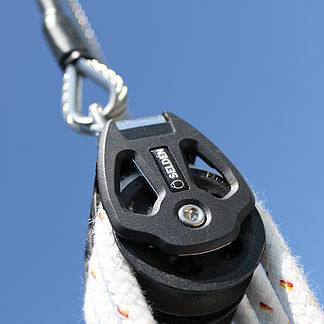 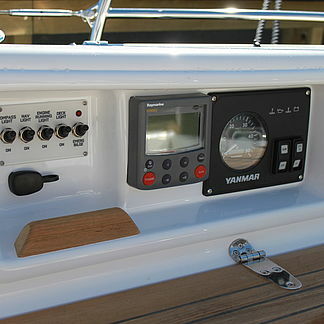 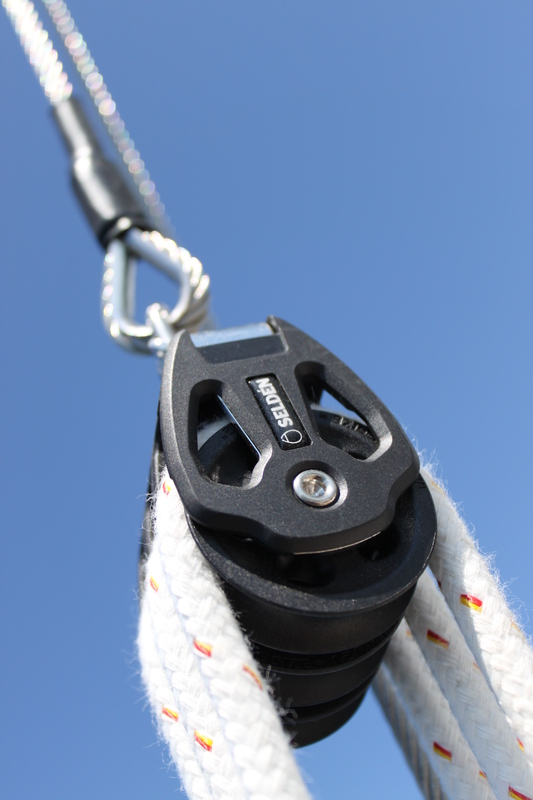 An under-deck mounted genoajib furler Furlex TD is standard equipment. 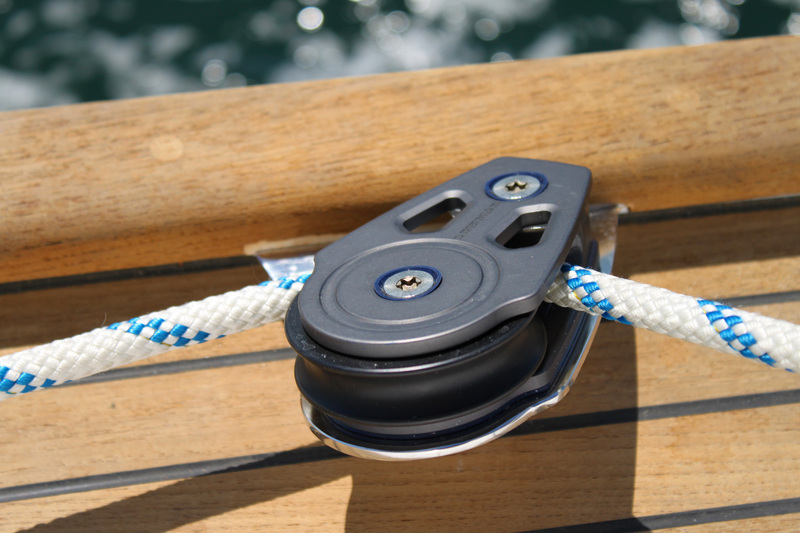 Also a powerful backstay tensioner with 1:24 purchase is standard equipment. 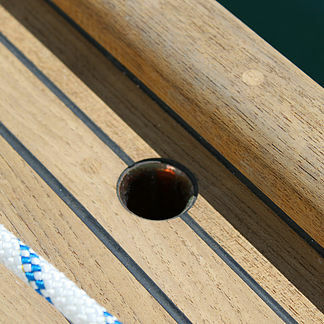 The top shrouds and the lower shrouds are separated to individual chainplates, to allow easy passage on deck and good sheeting of the genoajib. 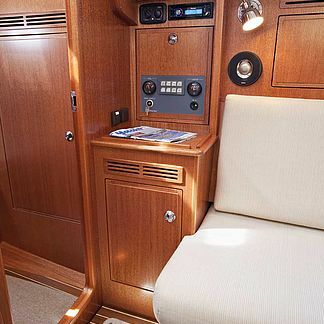 The cockpit is generous and over 2.35 m long. 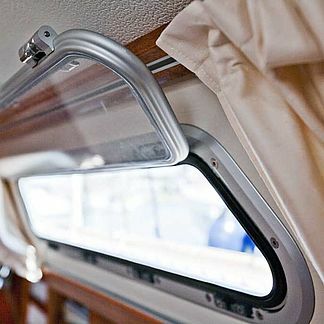 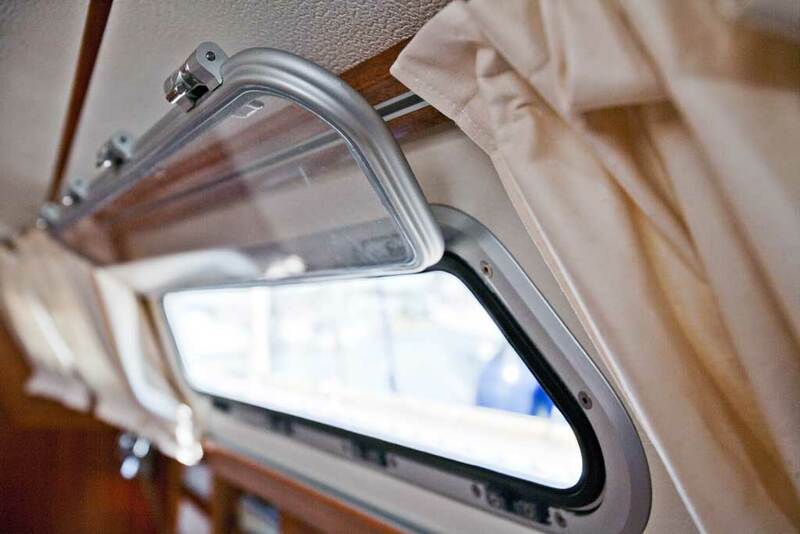 There is easy access to the boat when entering from the transom. 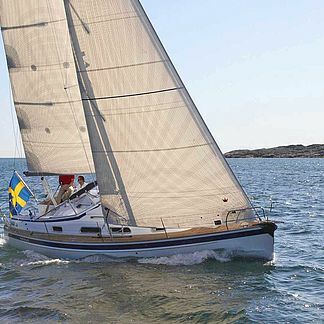 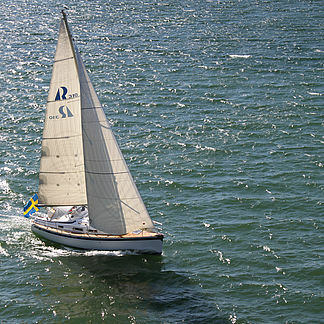 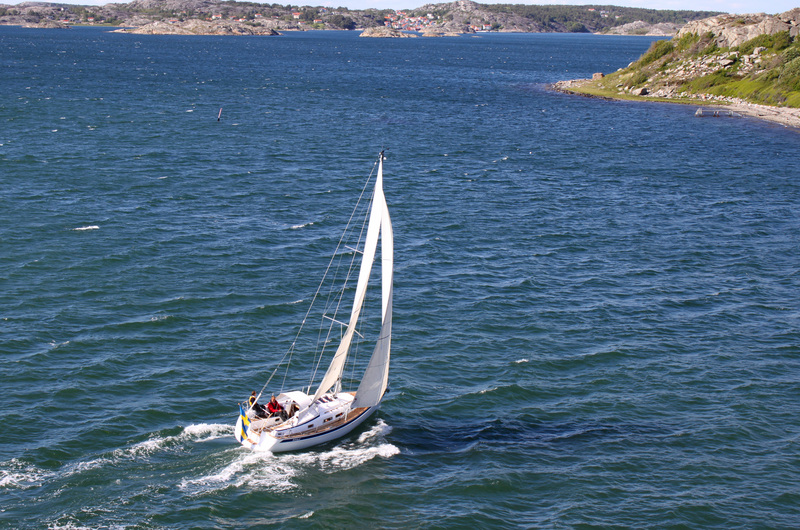 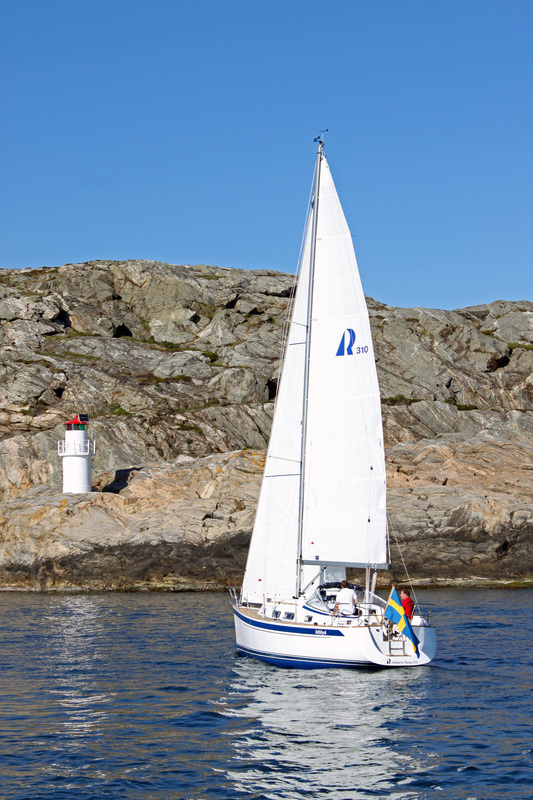 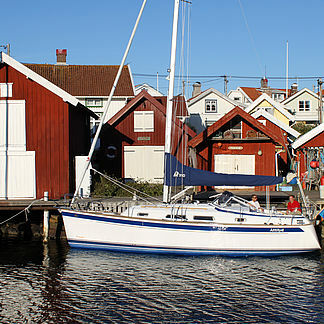 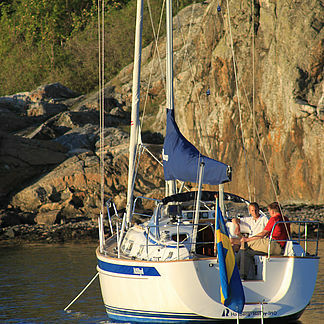 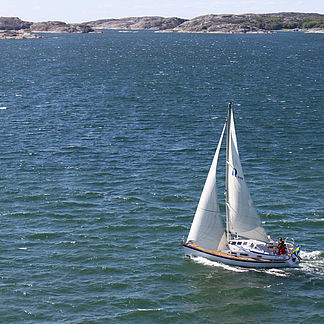 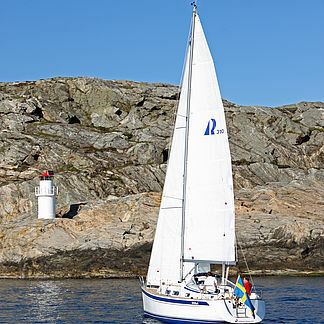 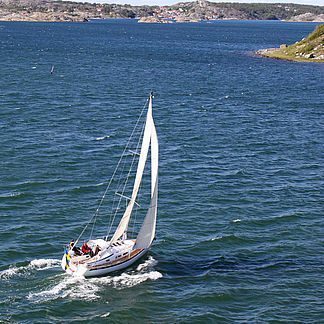 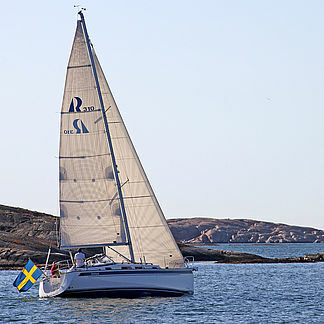 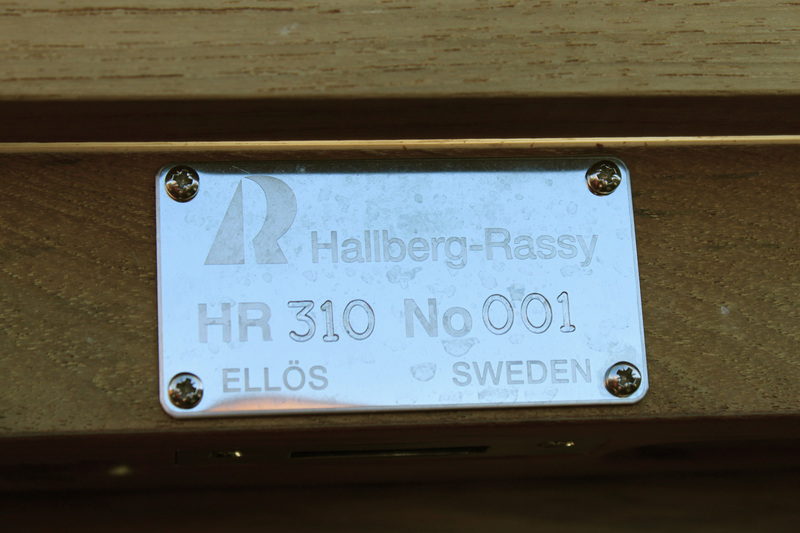 Hallberg-Rassy typical features such as the windscreen, integrated rubbing strake and a lead keel on a proper bilge come without saying. 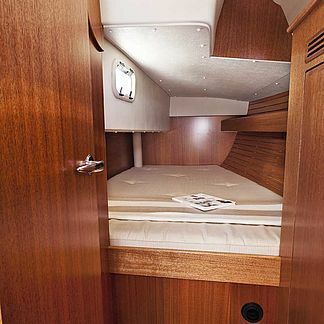 The interior is bright and unusually roomy for her size. 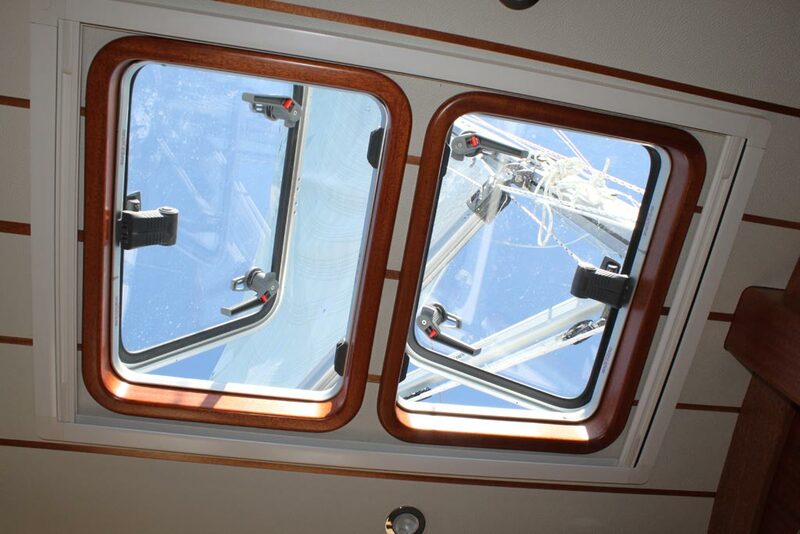 There are fourteen light inlets in total; there are four skylights, of which two are in the saloon. 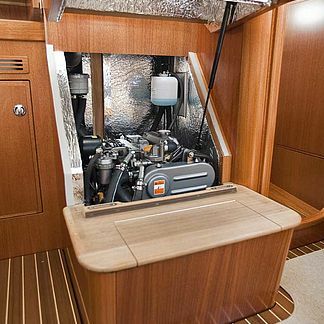 All nine portlights are opening and the same size as the Hallberg-Rassy 43 Mk II. 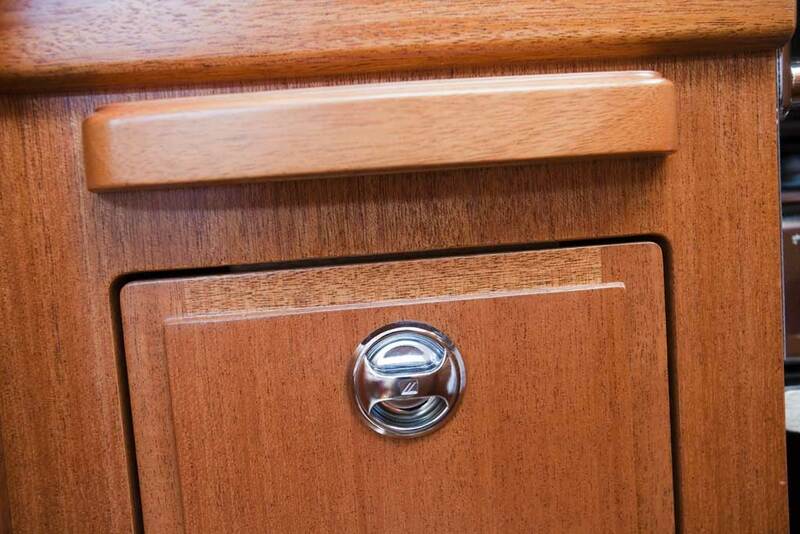 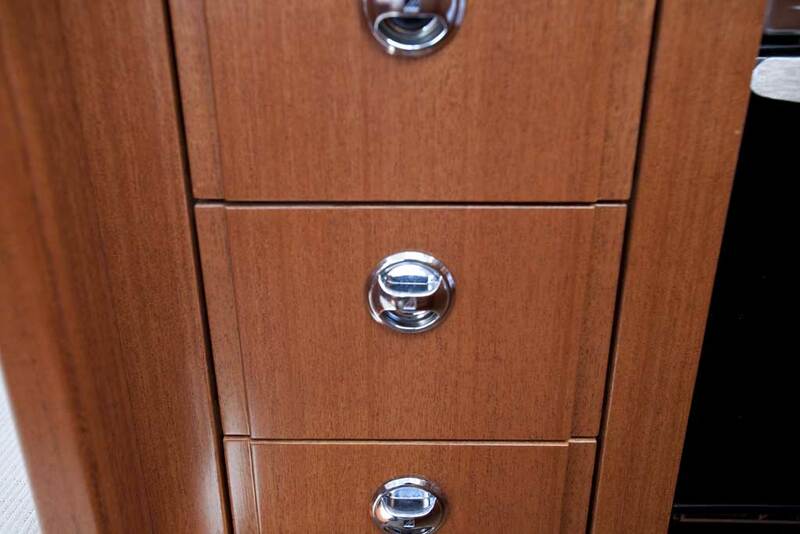 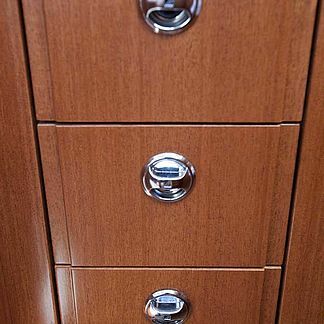 The locker doors are flush and have invisible hinges. 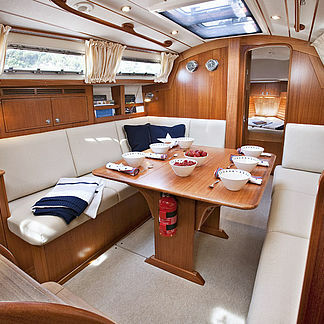 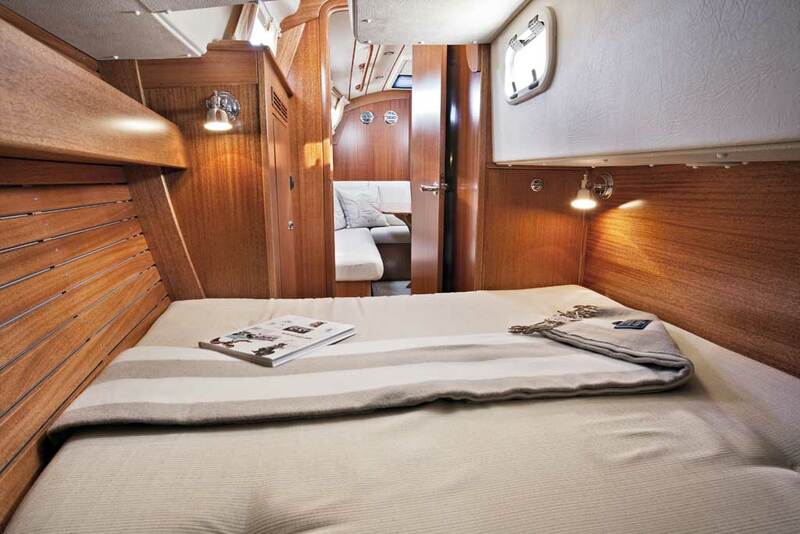 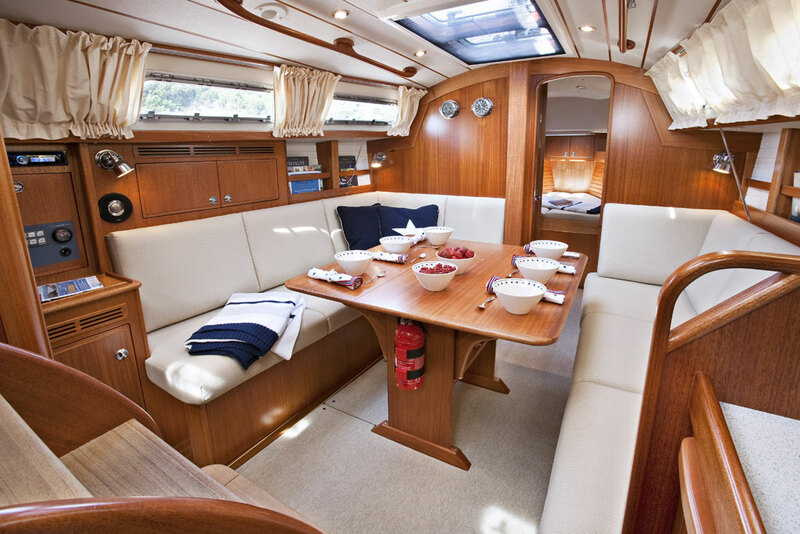 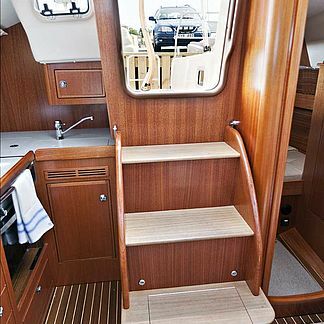 The saloon is sensationally long and wide for the boatsize. 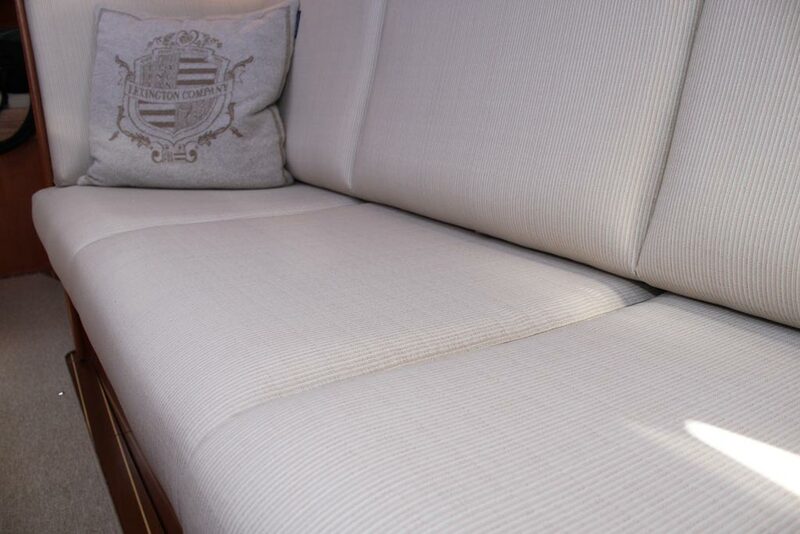 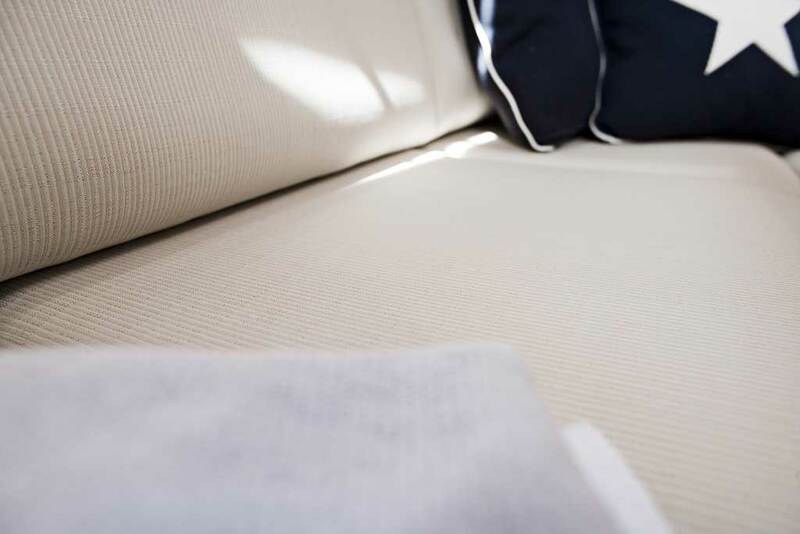 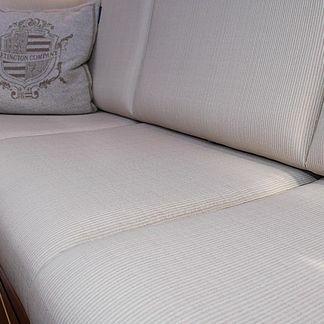 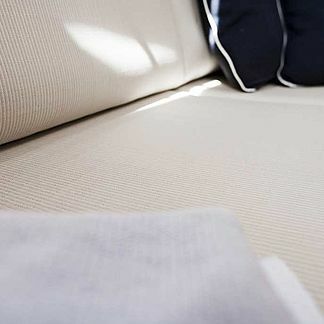 Both the L sofa and the straight settee are a full two meters long. 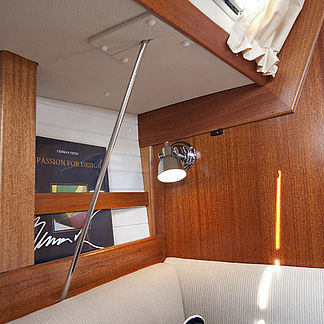 The mast support is in direct conjunction with the main bulkhead and does not obstruct the saloon. 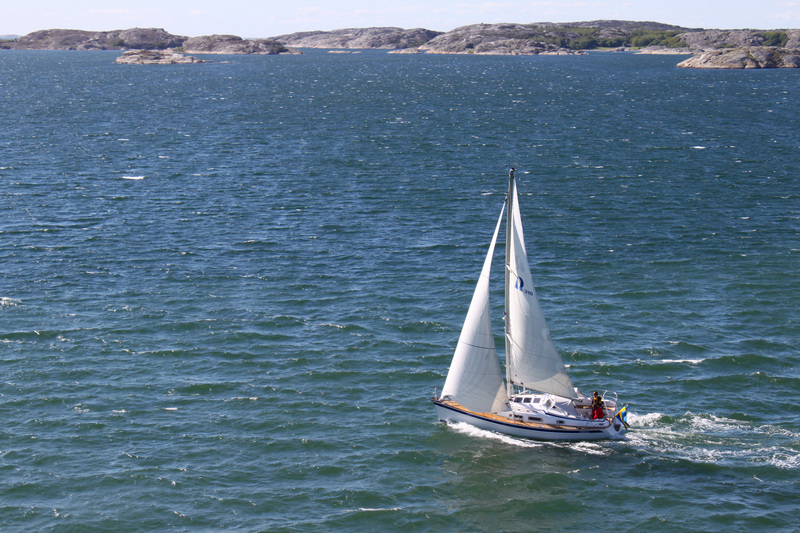 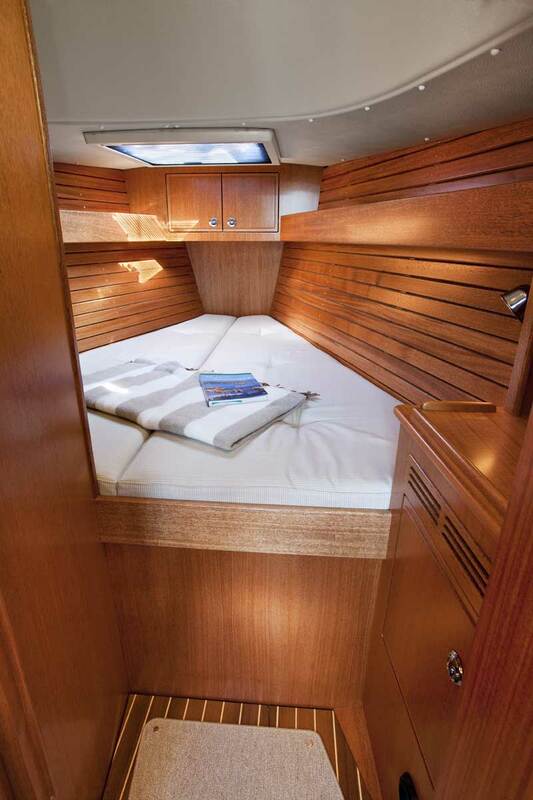 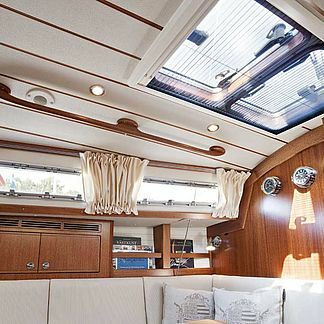 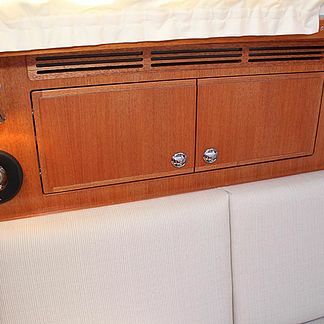 The seagoing galley does not interfere with the natural flow through the boat. 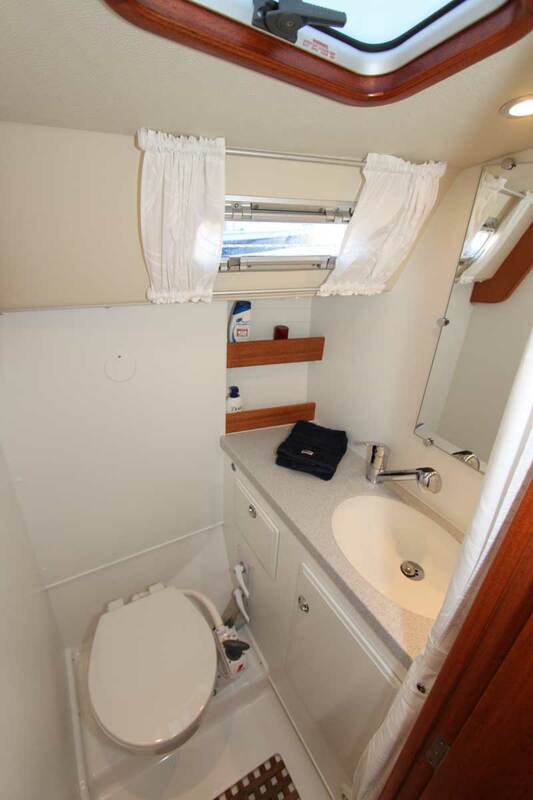 Someone working in the galley does not obstruct the access to the aft cabin. 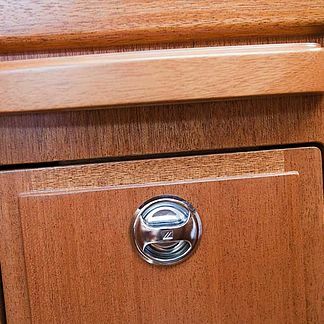 There are deep double sinks and a fridge with a basket to organize small items. 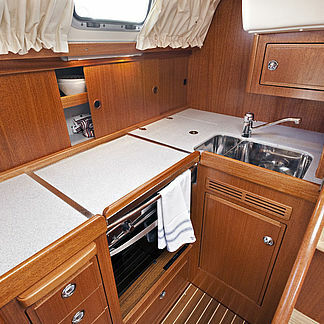 The countertop is solid PlexiCor composite stone. 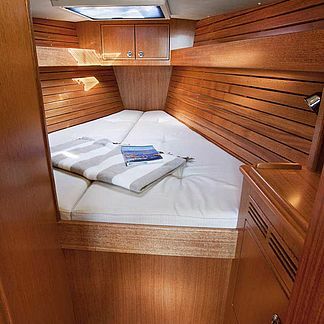 Both the aft and forward cabins are generous. 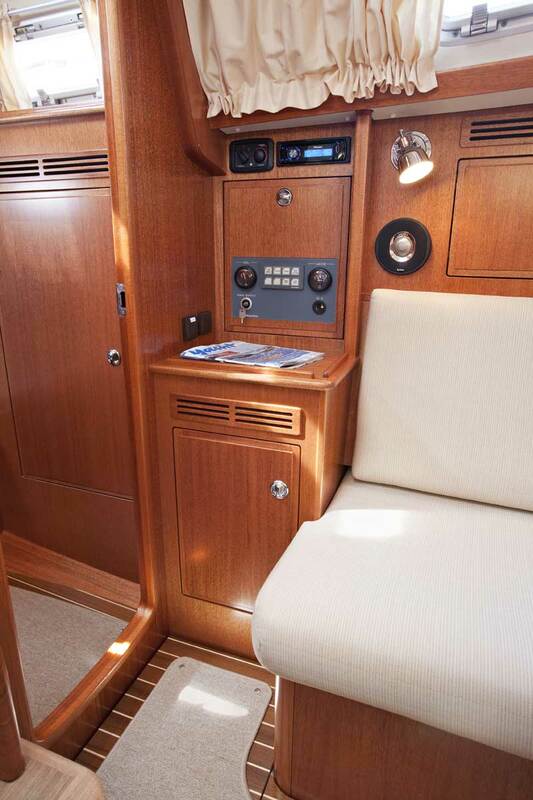 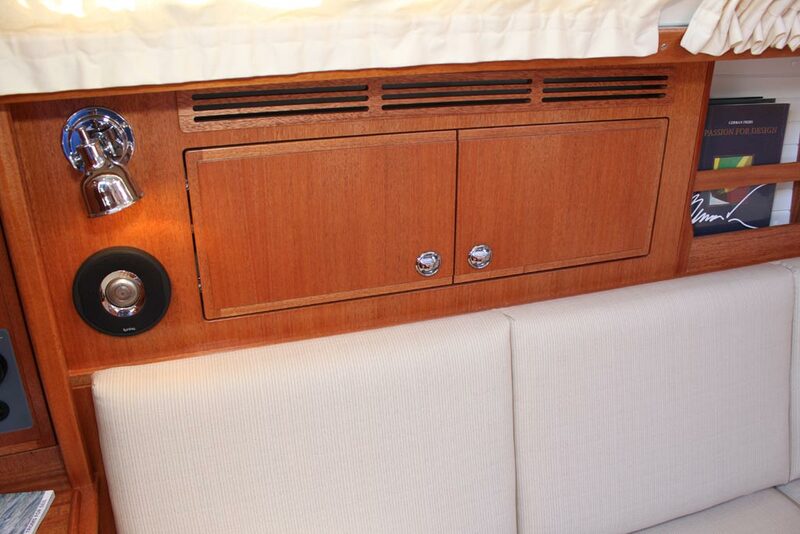 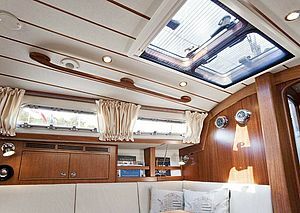 The aft cabin has two opening portlights and a hanging locker. 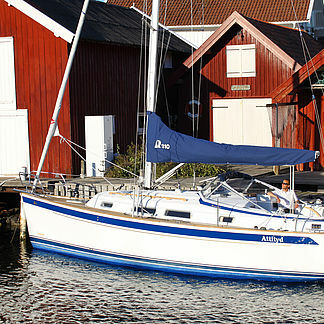 The berth is 206 cm long, 143 cm in the wide end and 100 cm at the footend. 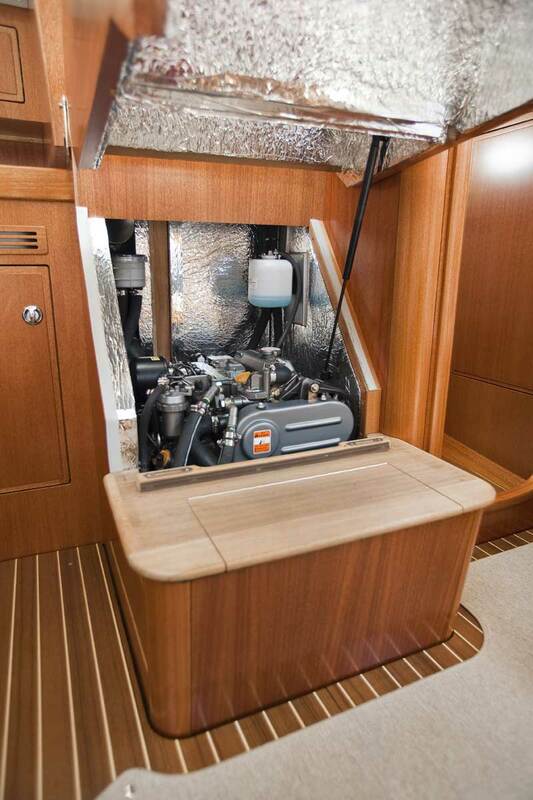 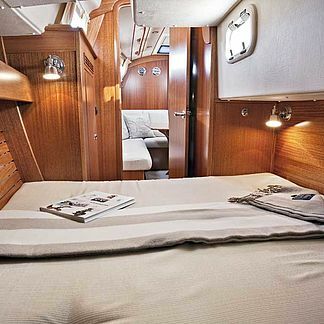 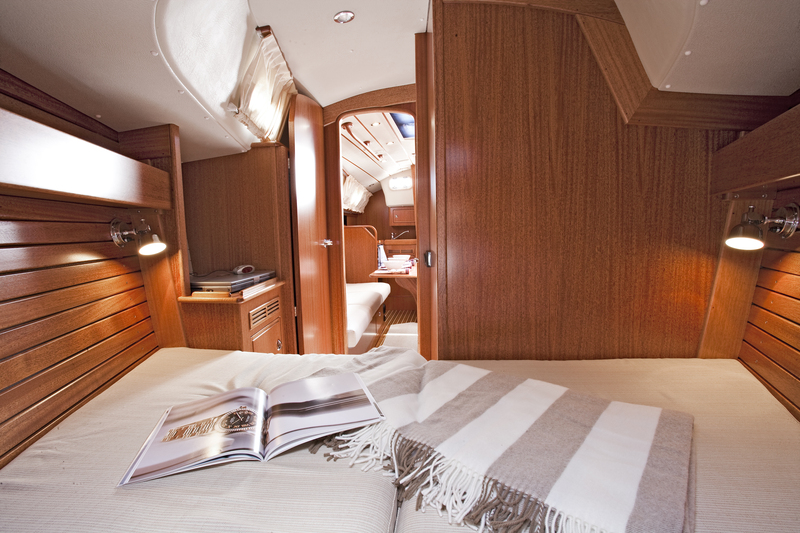 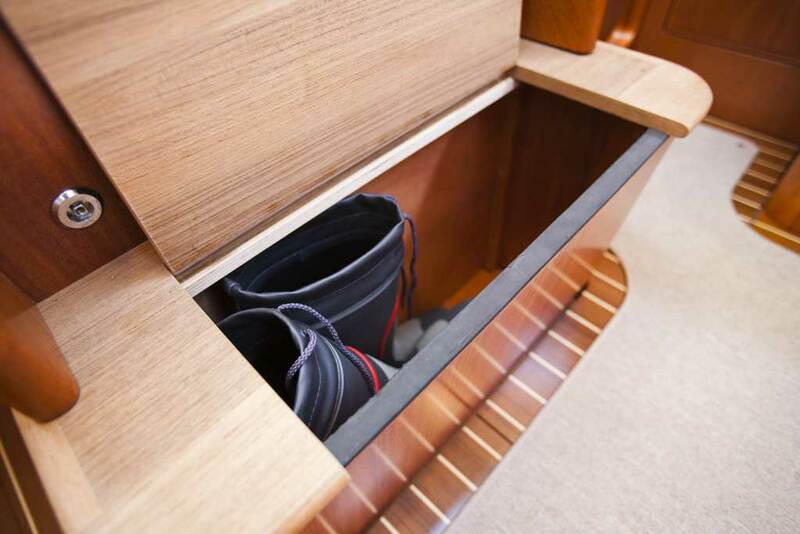 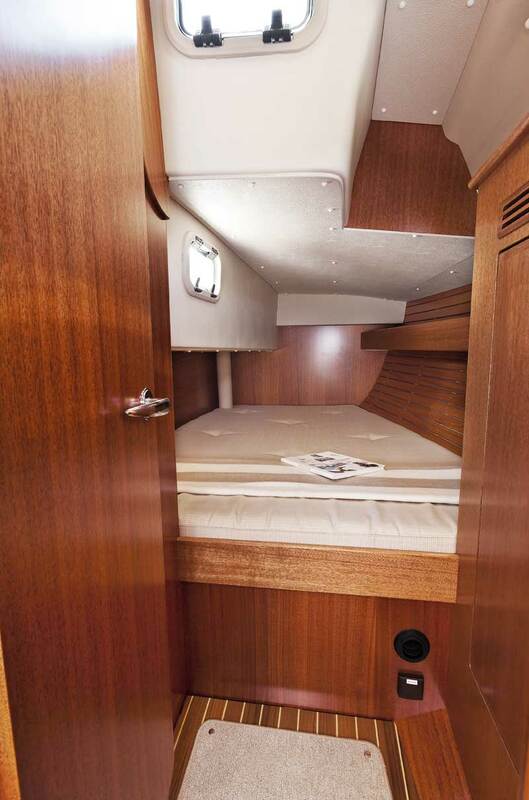 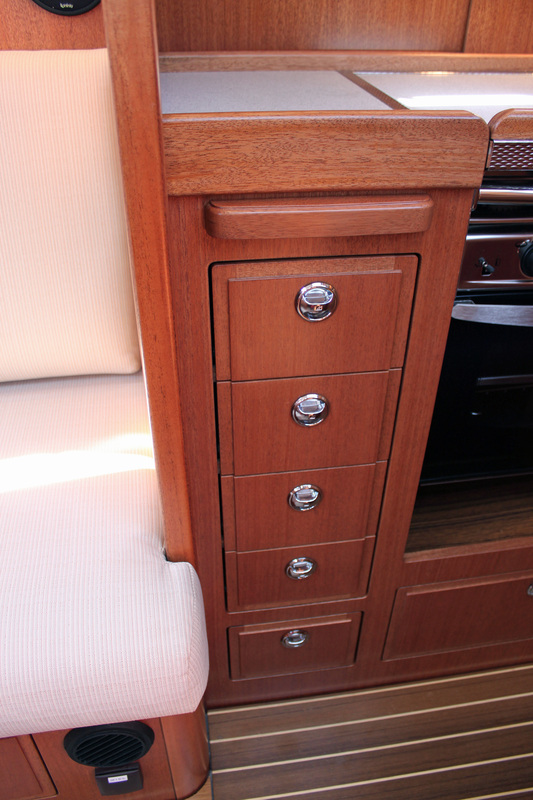 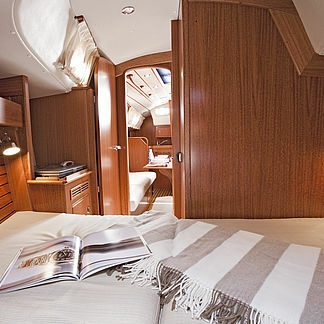 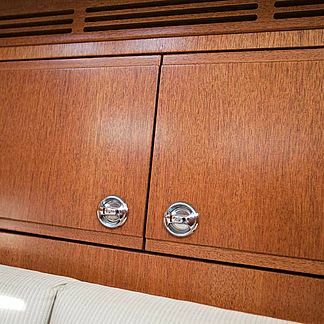 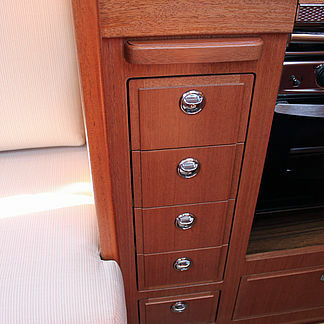 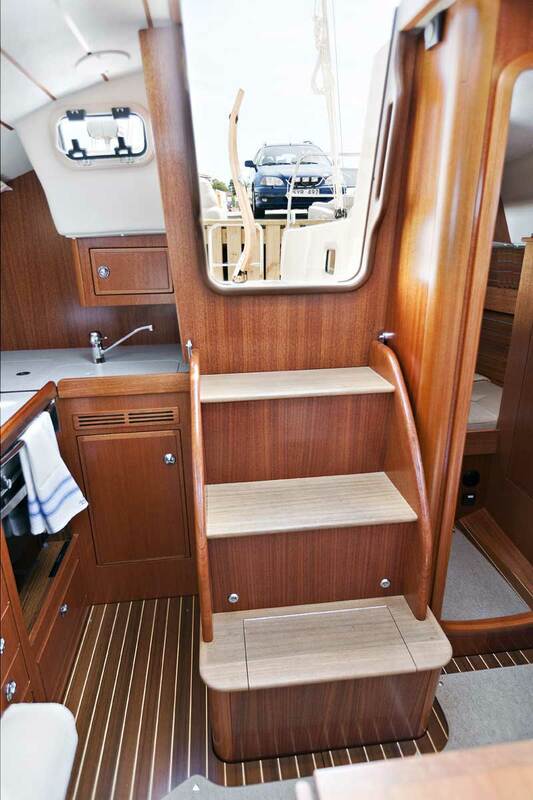 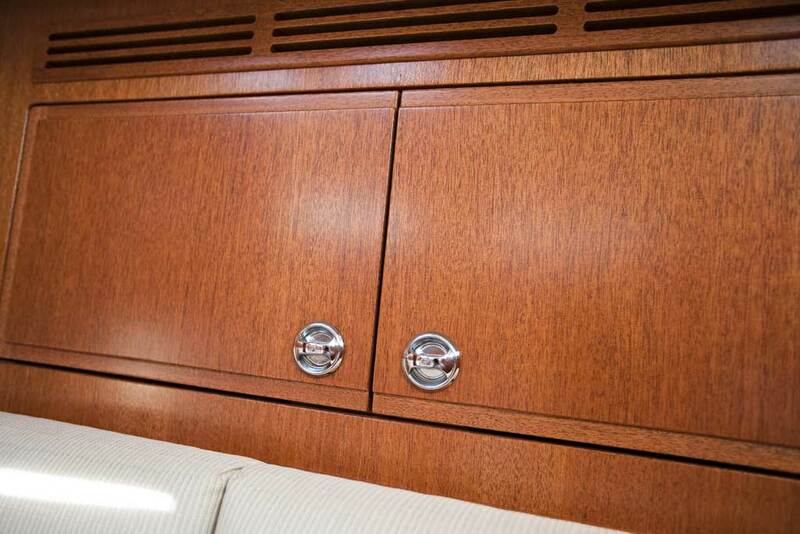 The forward cabin benefits from its own vanity and hanging locker. 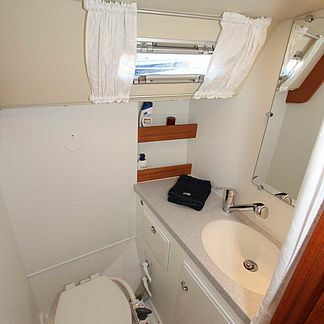 The toilet compartment has excellent ventilation with opening portlight and skylight. 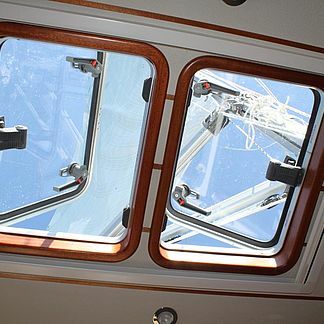 The skylight is fitted with milk coloured glass to obscure view but allow light through. 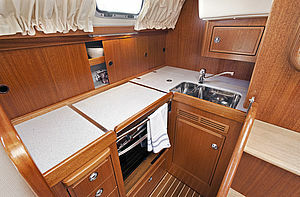 The countertop and sink are solid PlexiCor composite stone. 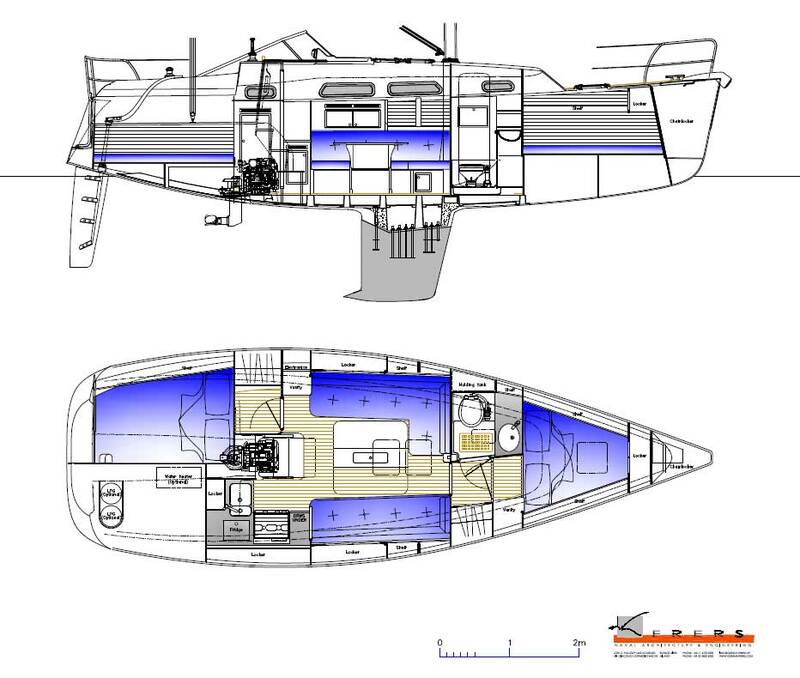 The deck to hull joint is laminated together before the interior is built in and this gives an unbeatable torsional strength factor. The toerail has a teak capping and the rainwater is drained in hoses under the waterline to prevent streaks on the hullside. 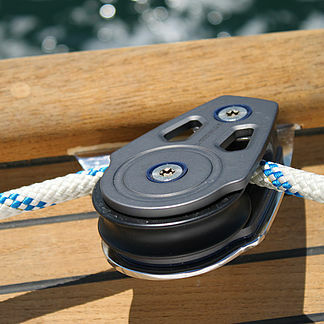 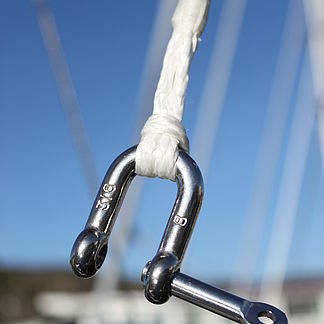 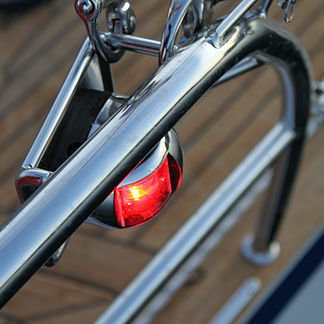 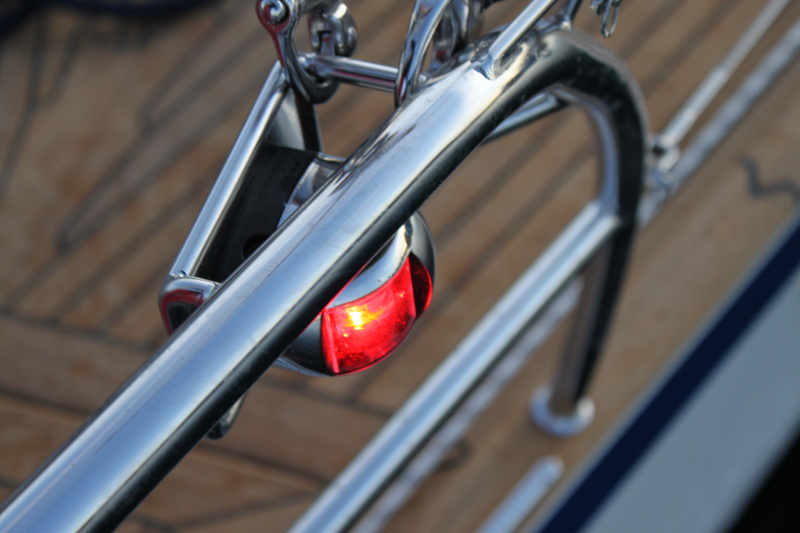 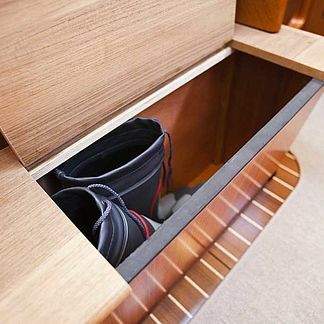 The sturdy mooring cleats are positioned on top of the toe rail. 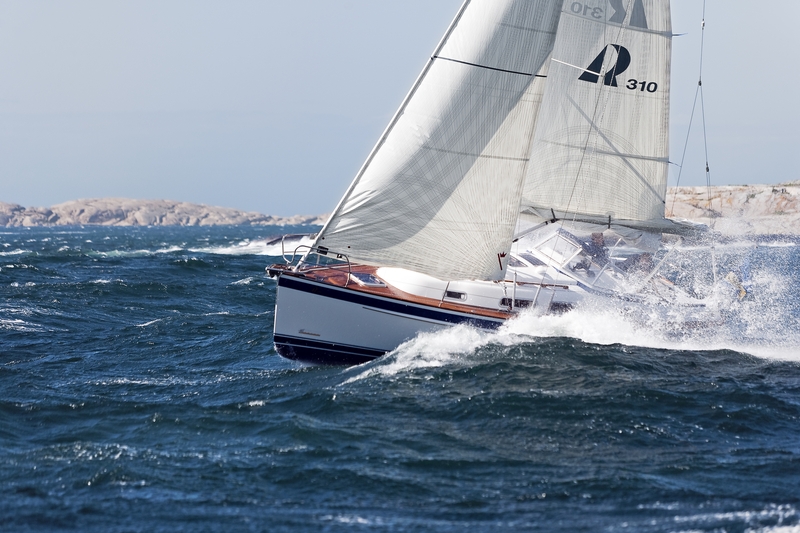 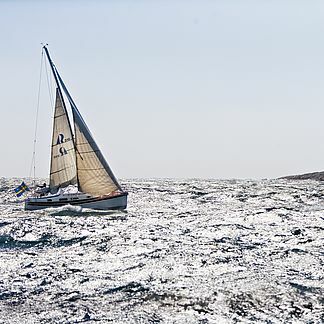 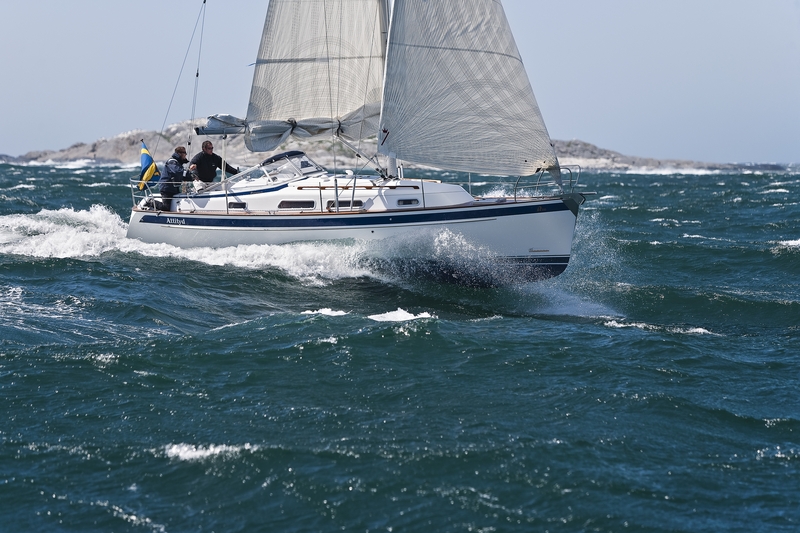 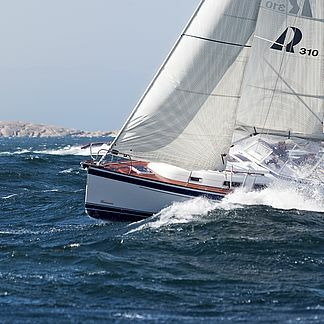 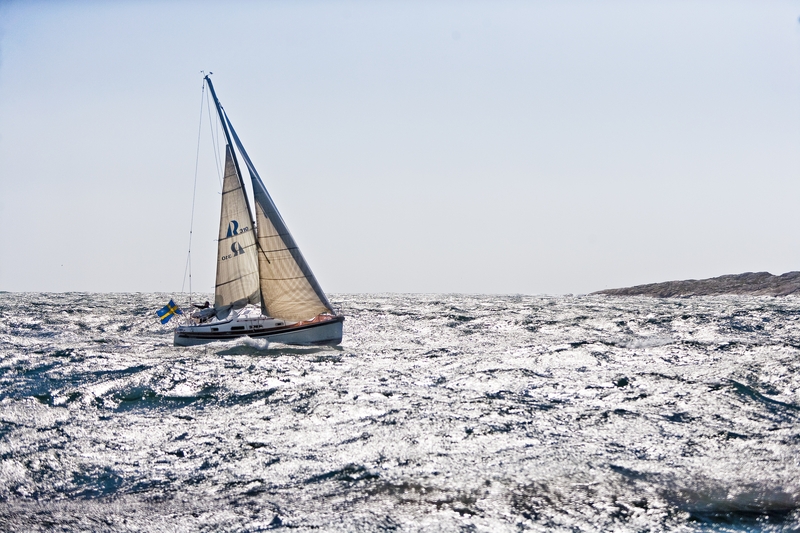 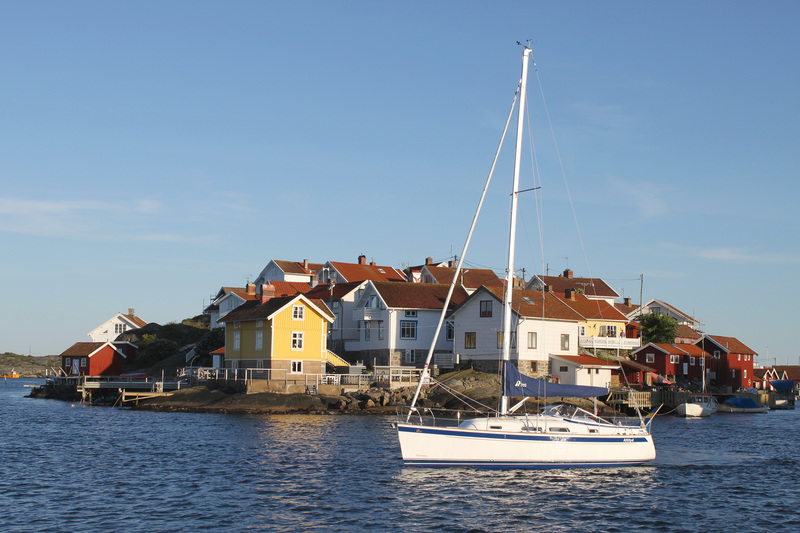 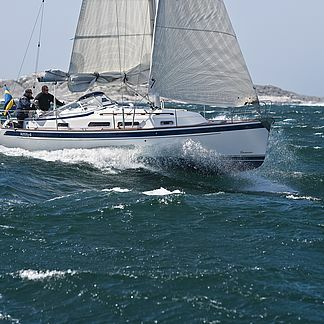 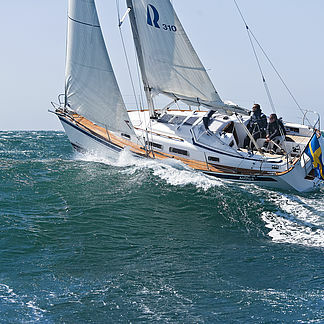 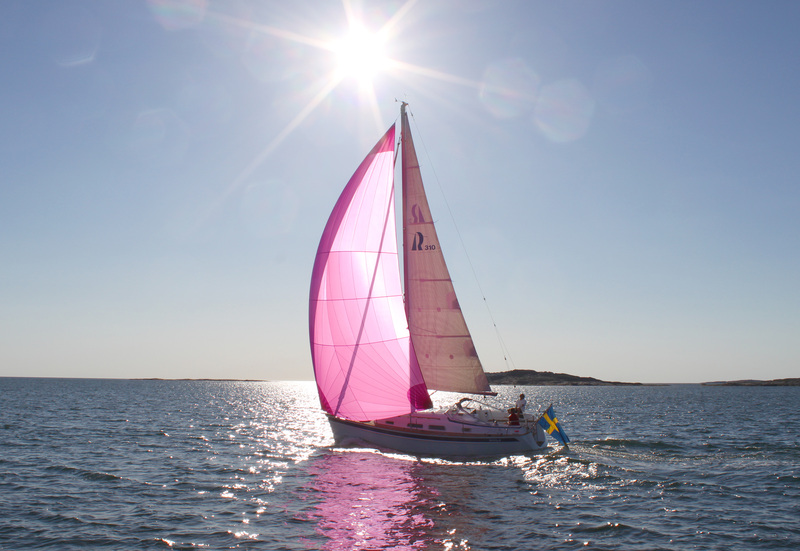 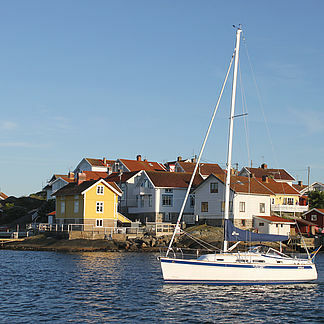 Although the Hallberg-Rassy 310 is a true cruiser, she has already showed her good sailing performance by winning her category in the World's largest inshore race, Tjörn Runt. 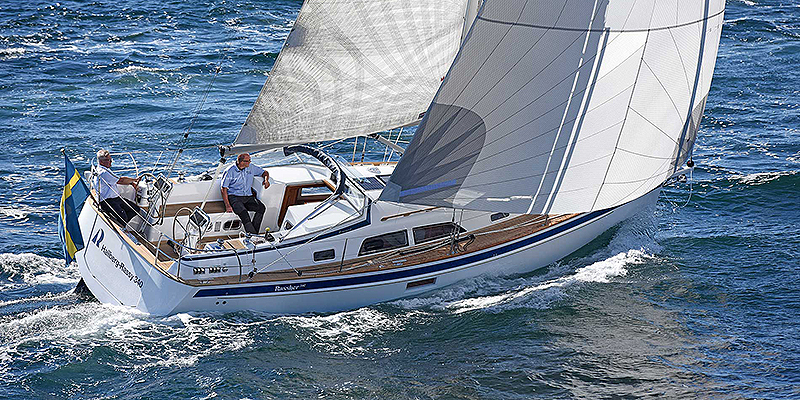 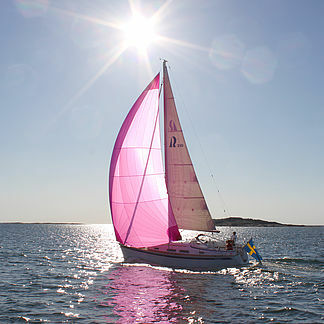 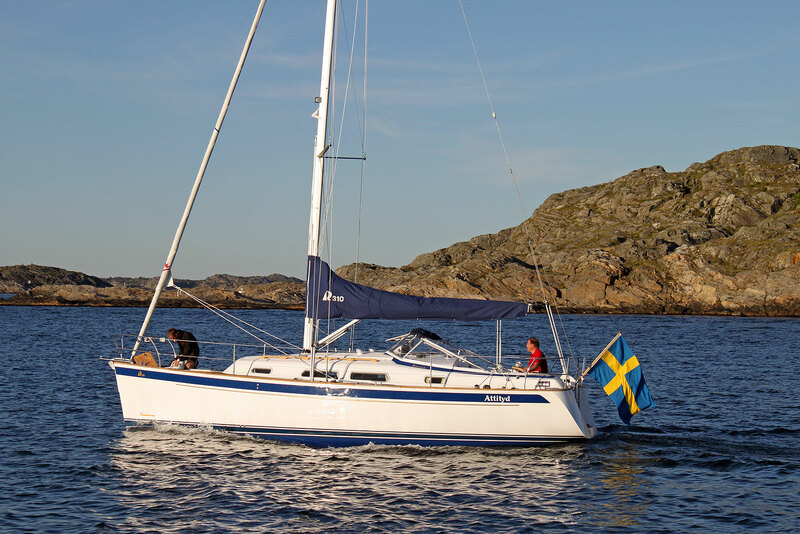 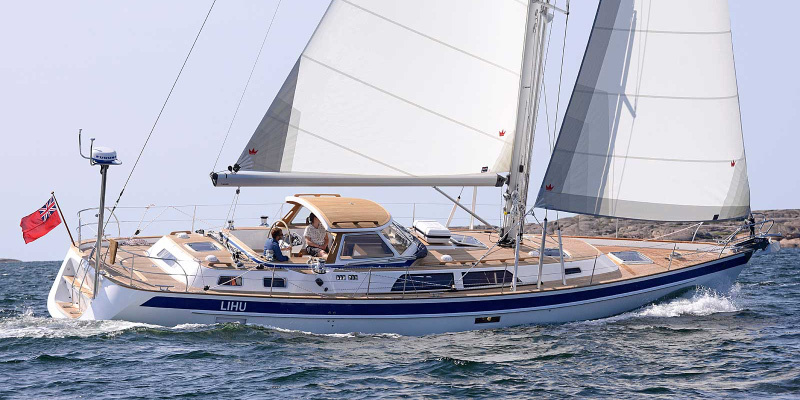 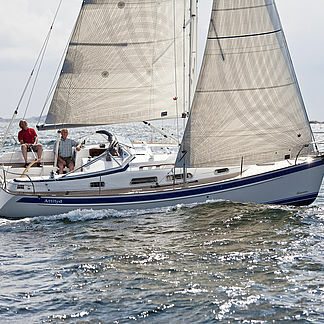 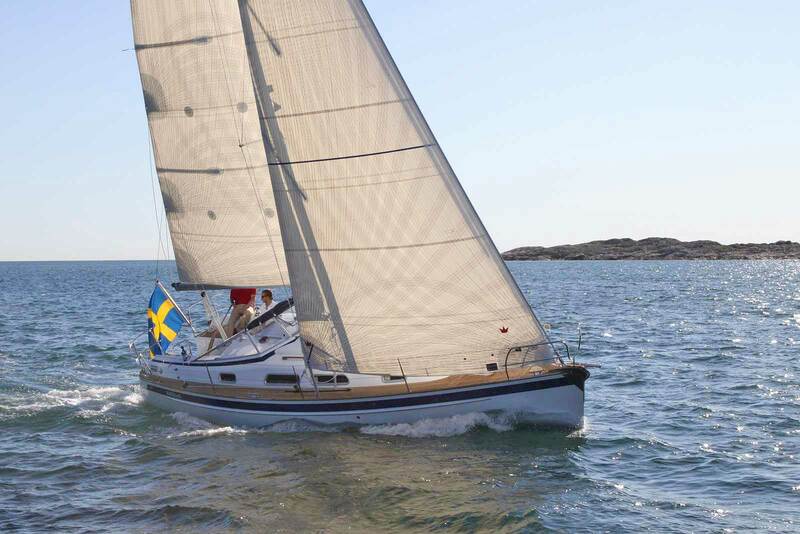 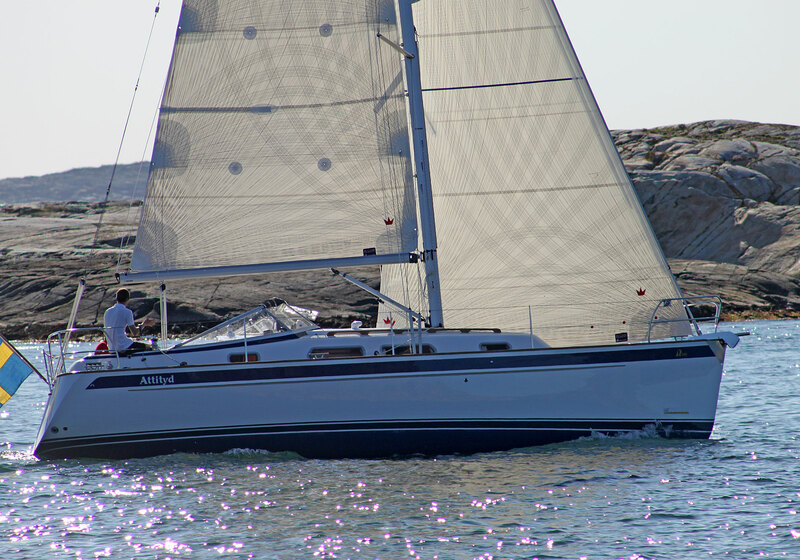 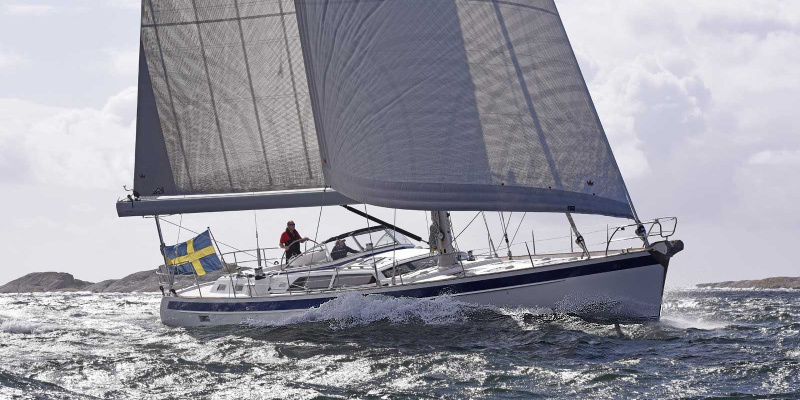 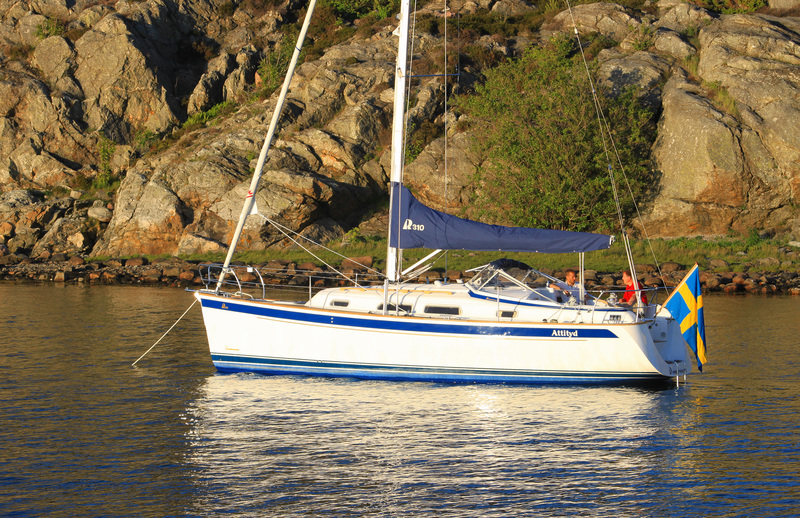 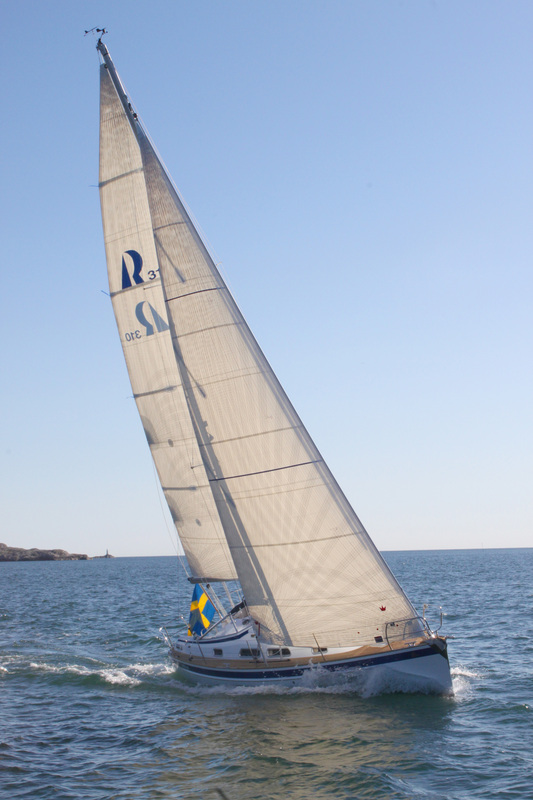 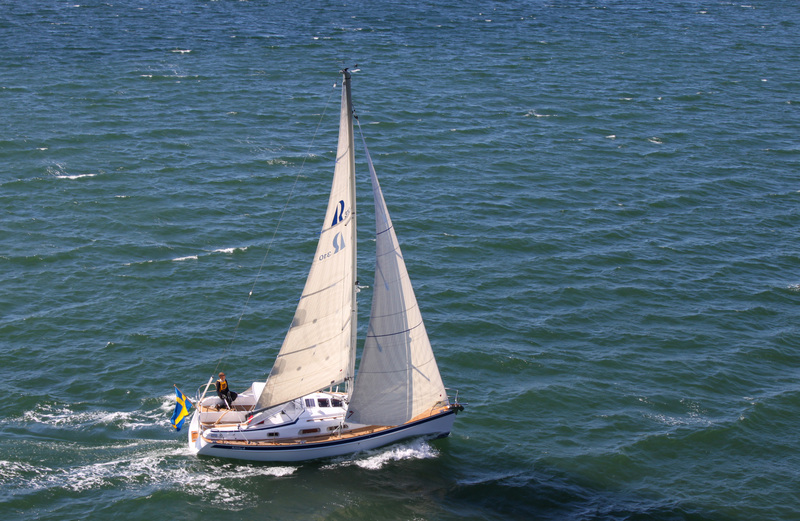 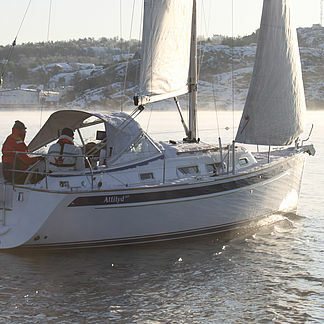 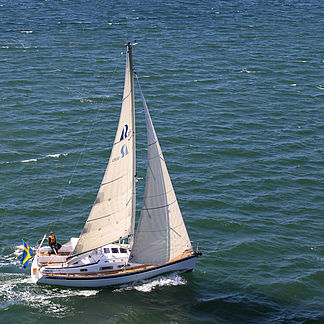 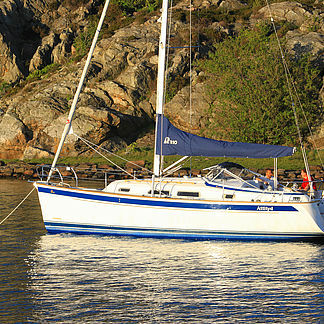 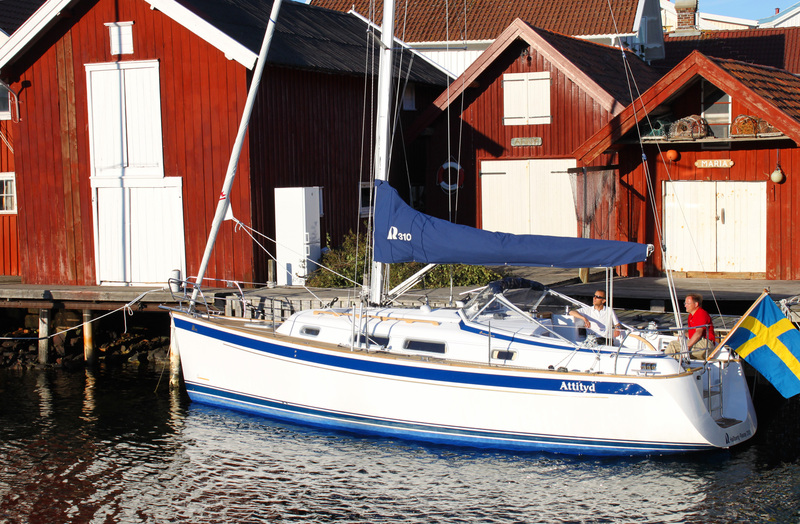 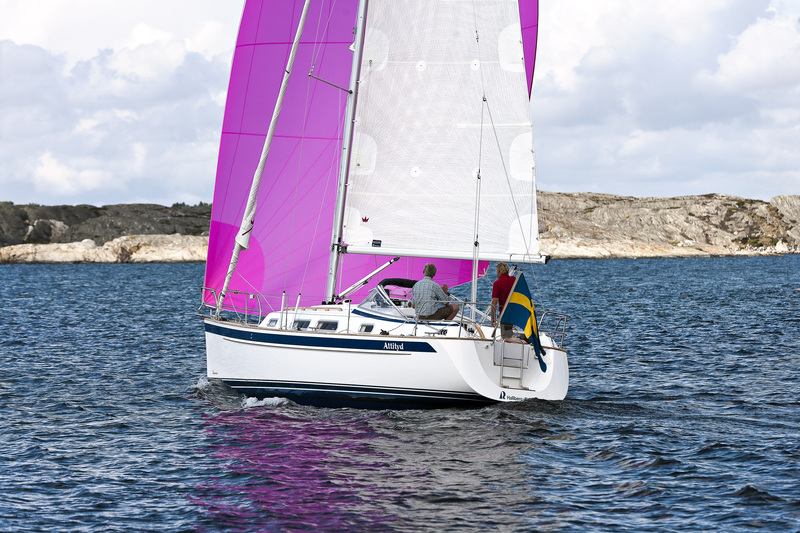 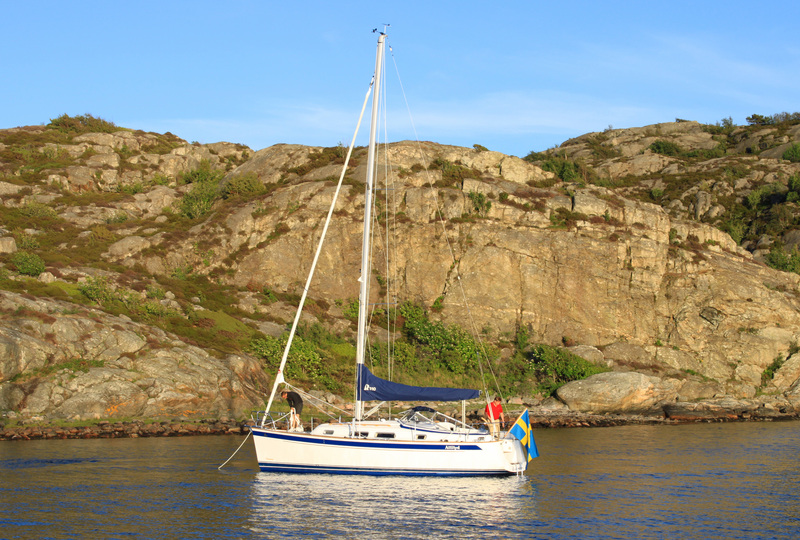 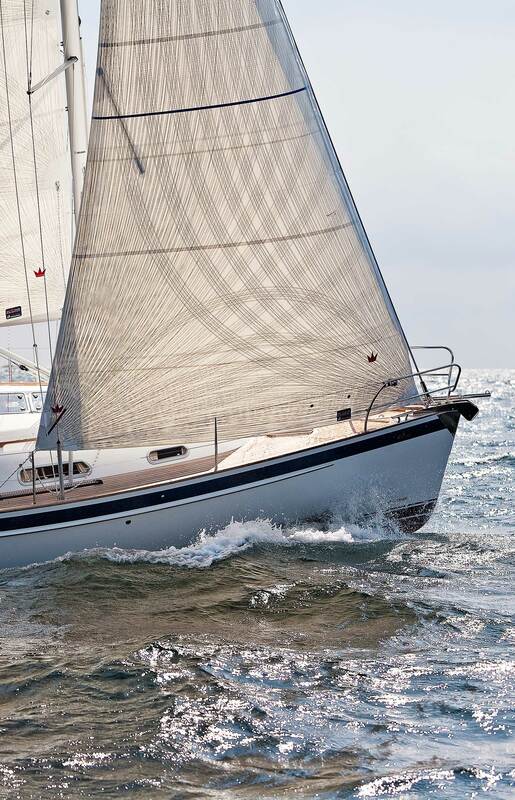 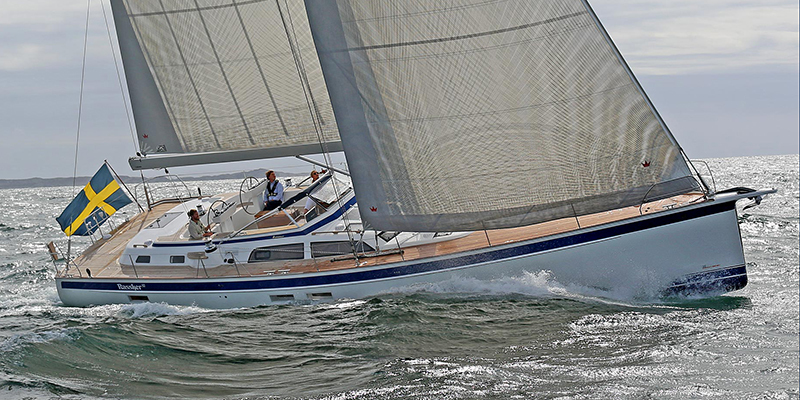 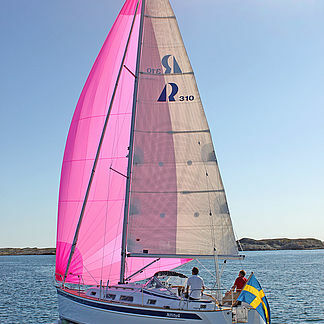 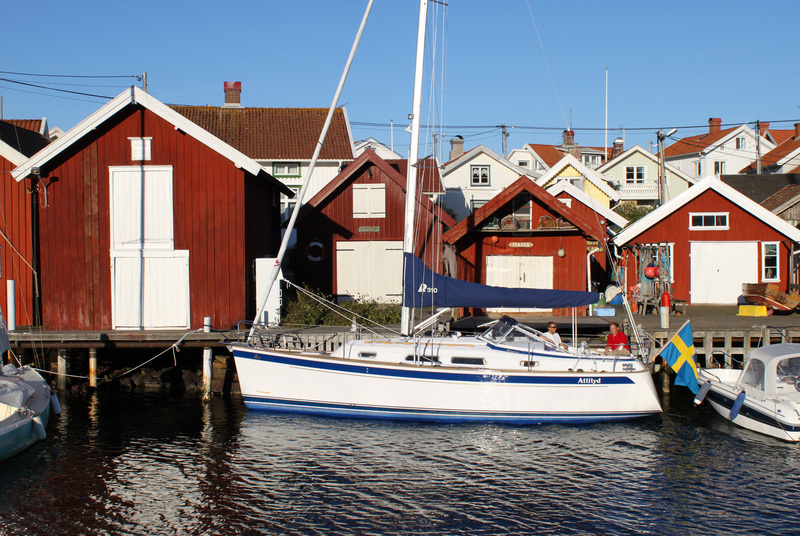 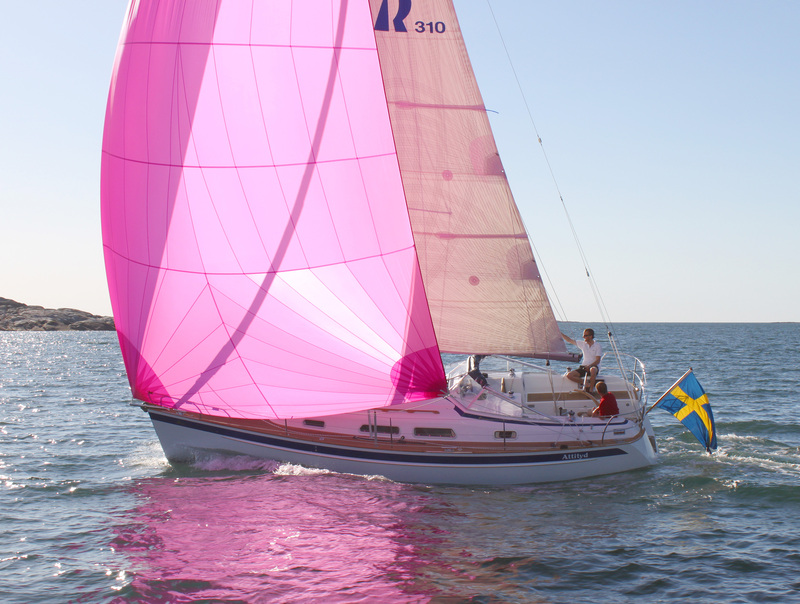 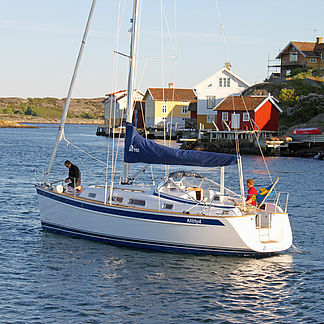 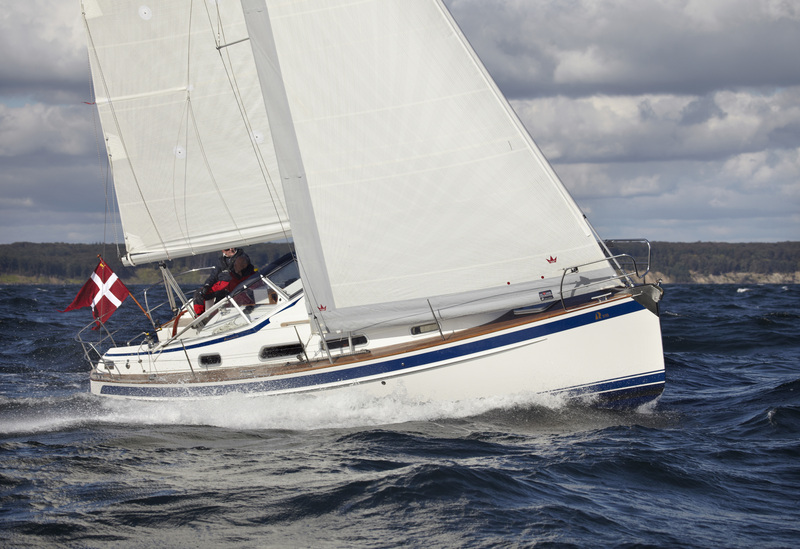 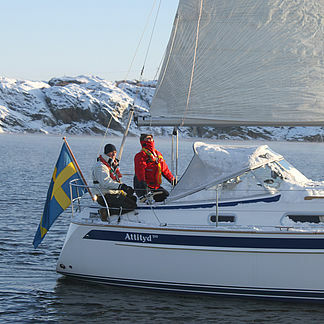 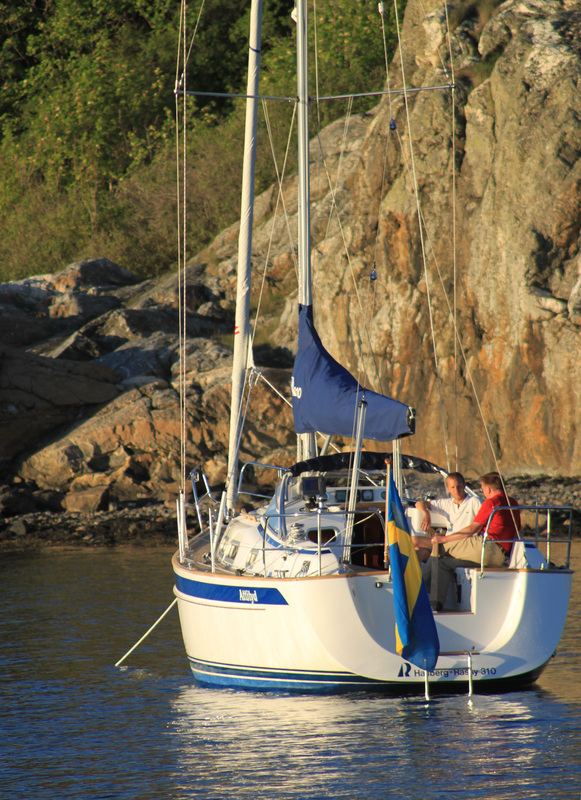 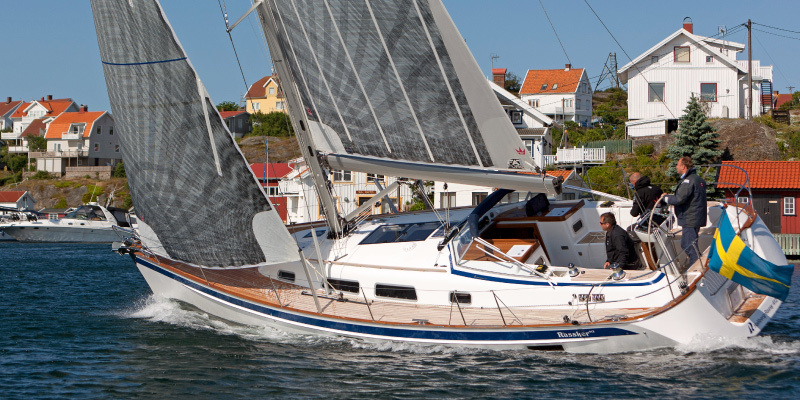 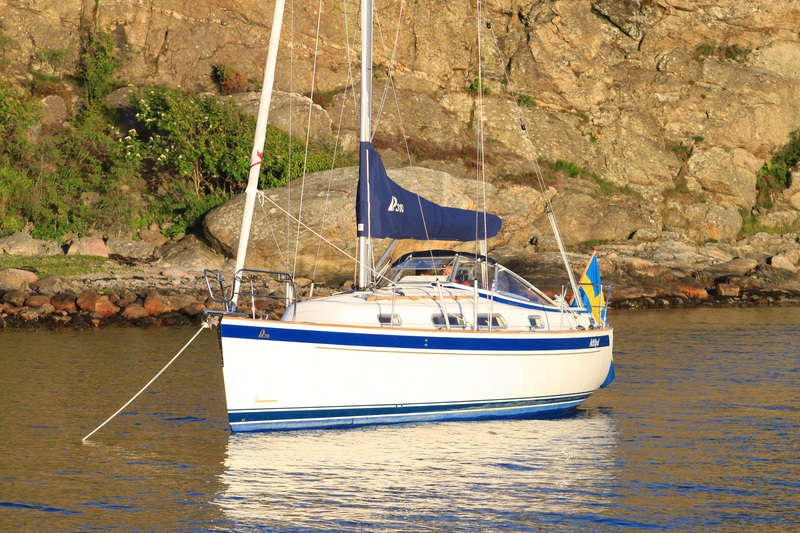 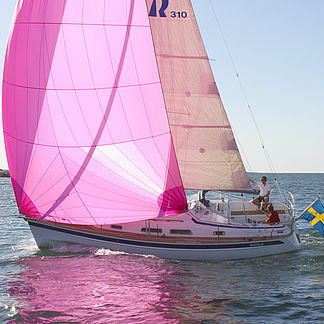 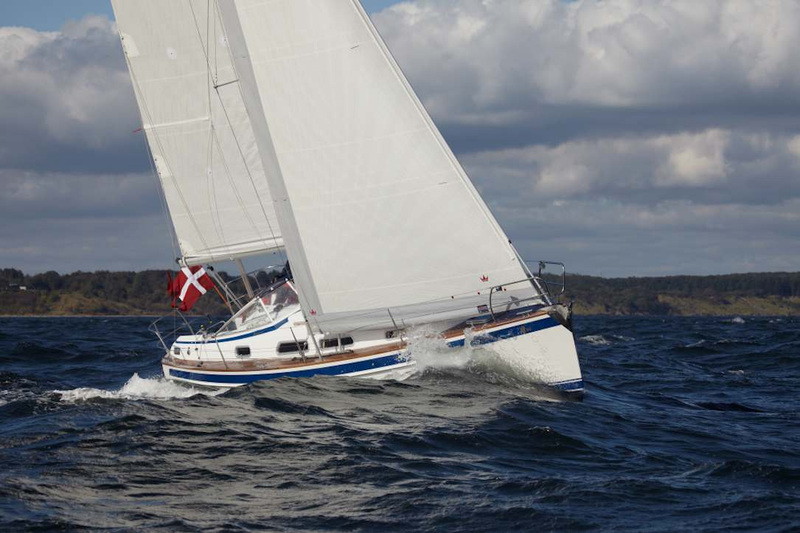 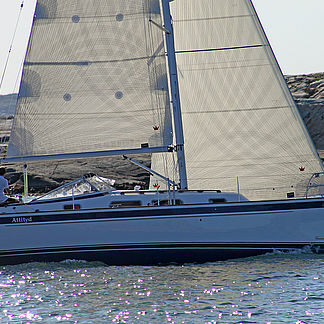 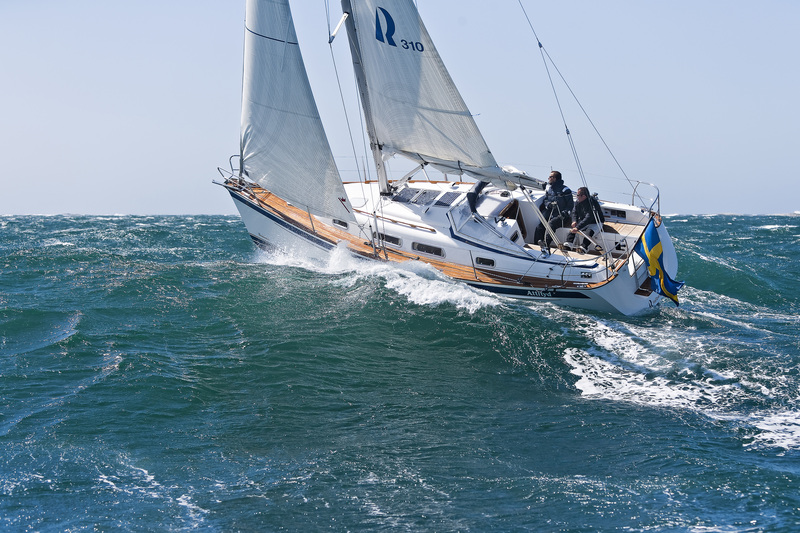 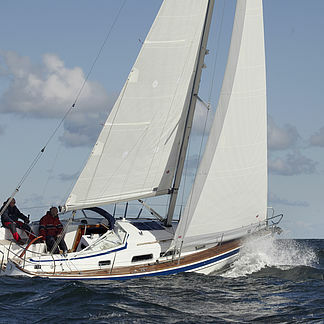 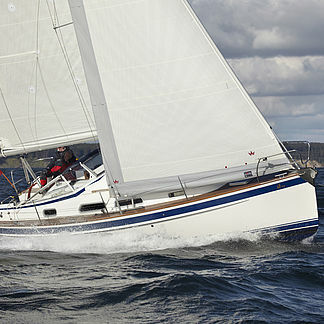 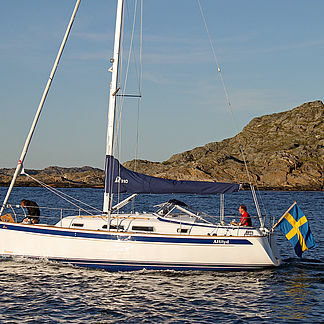 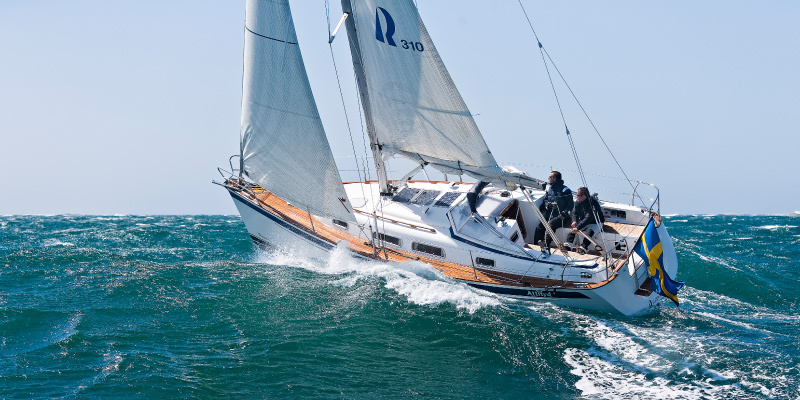 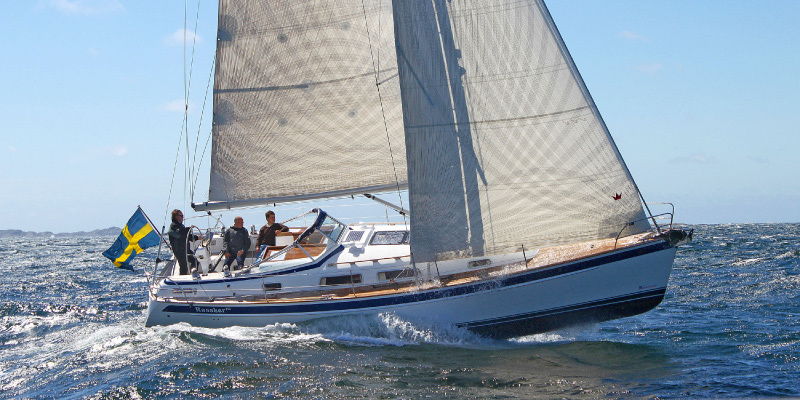 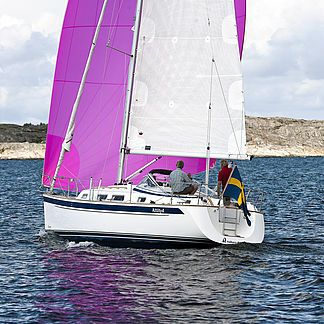 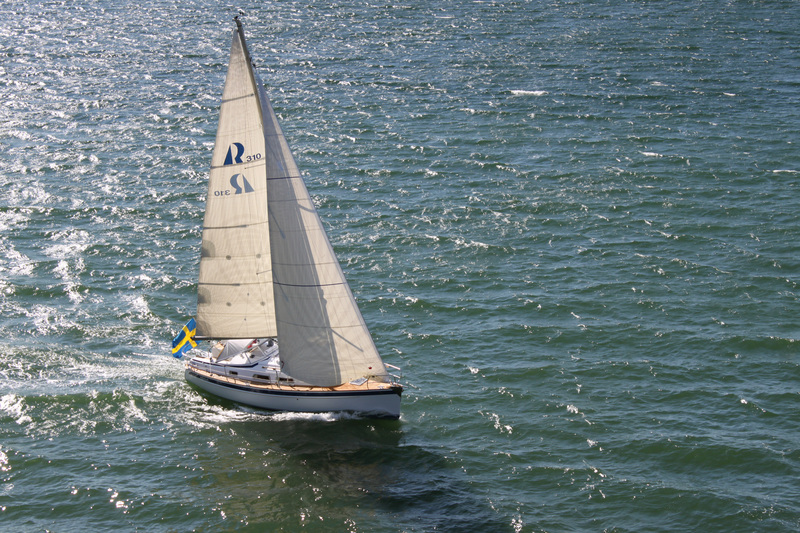 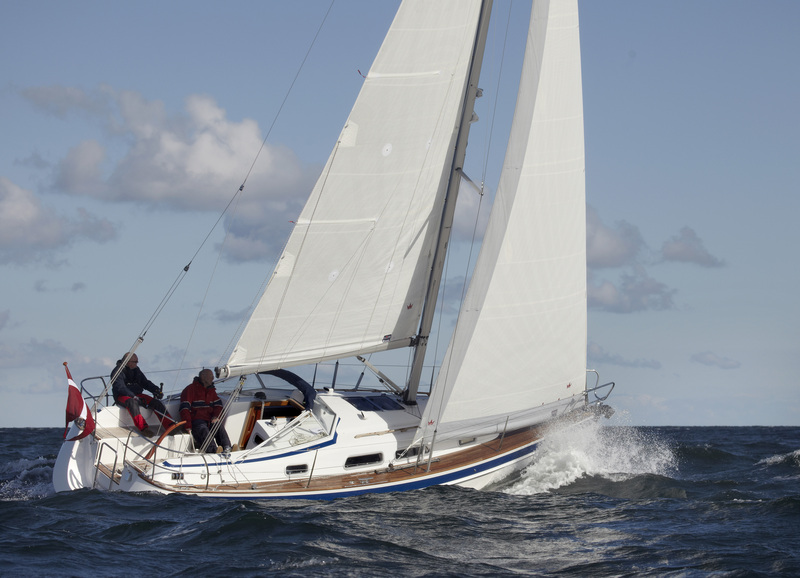 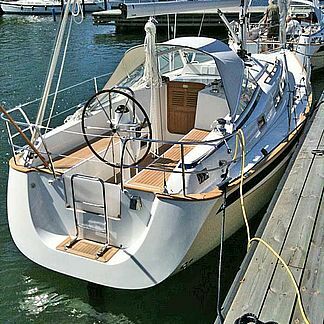 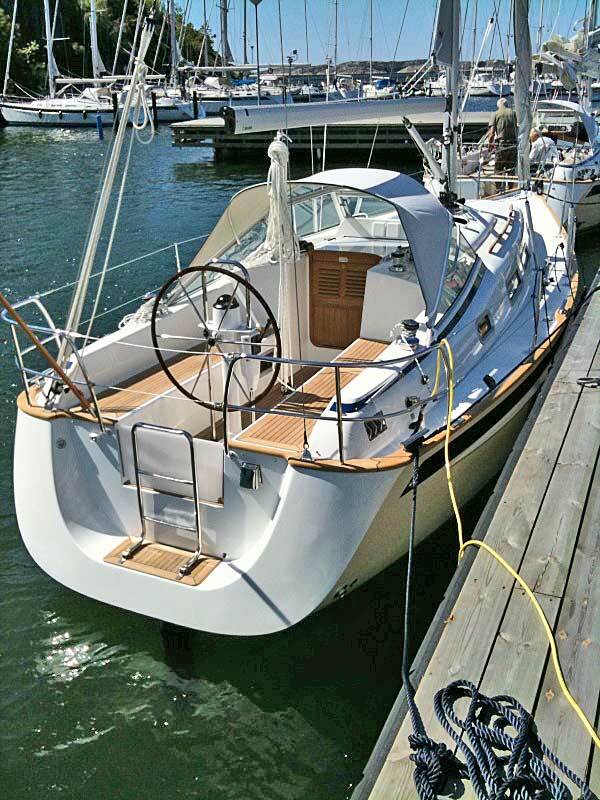 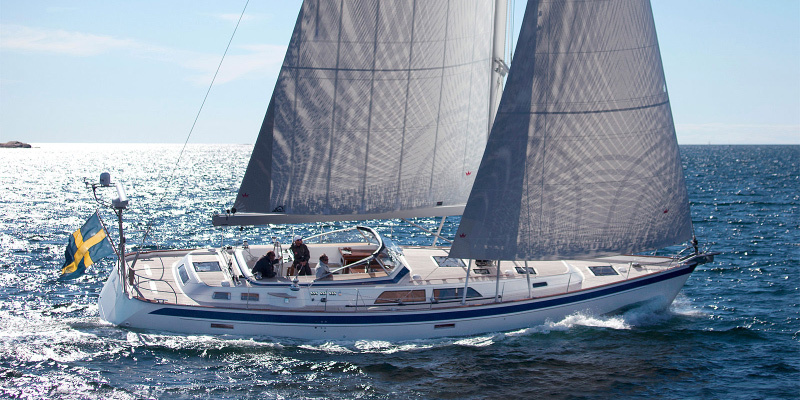 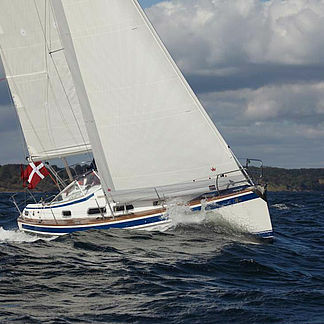 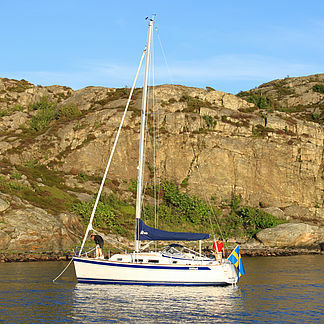 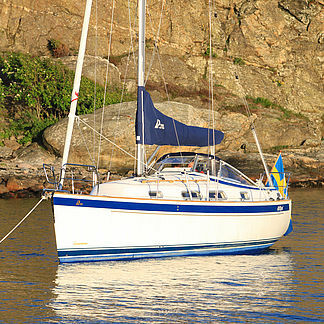 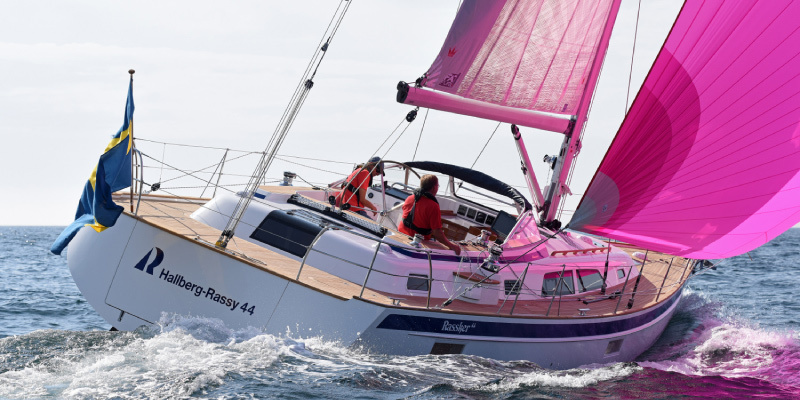 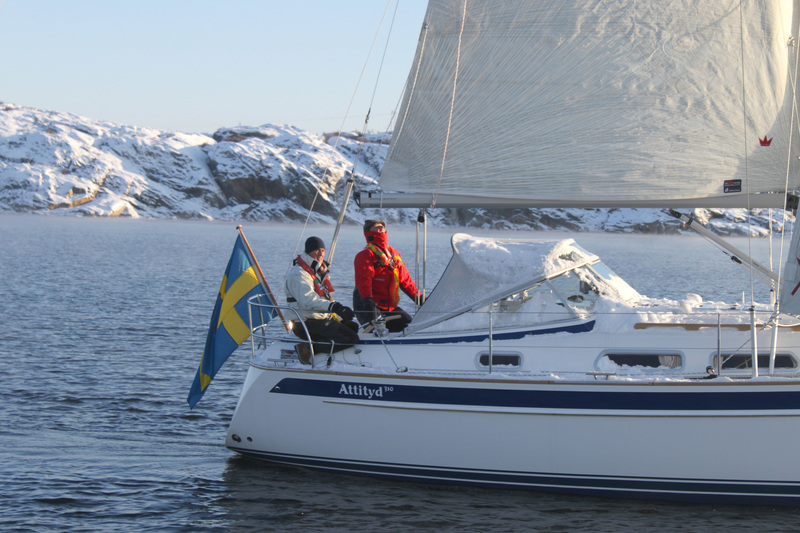 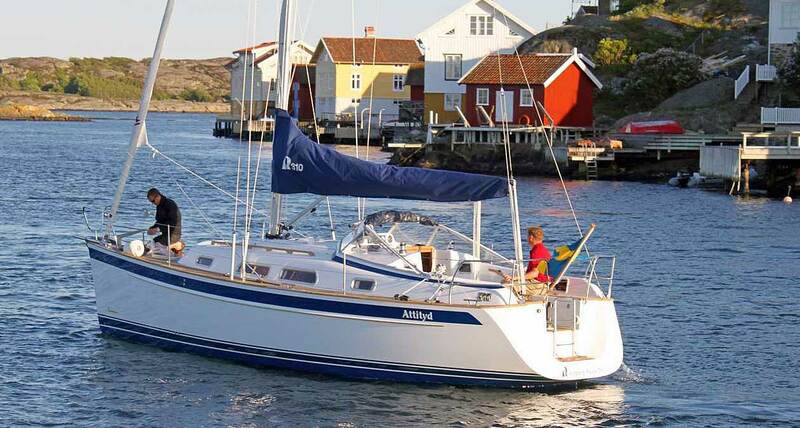 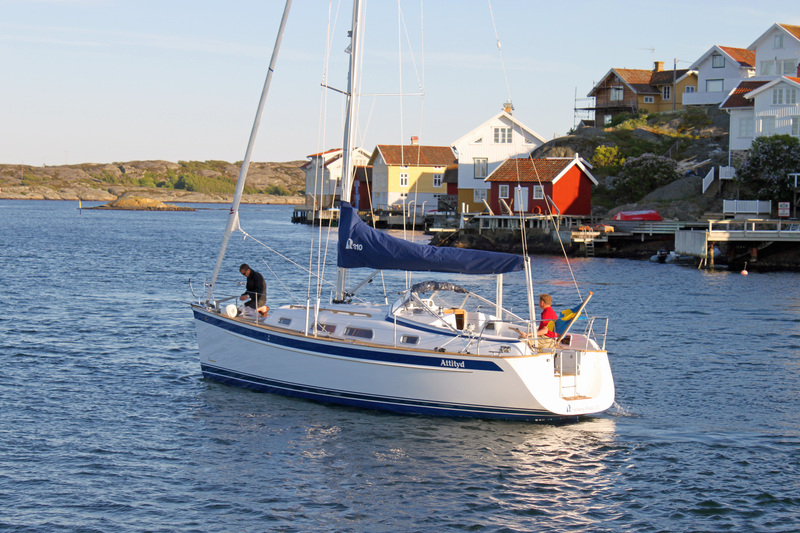 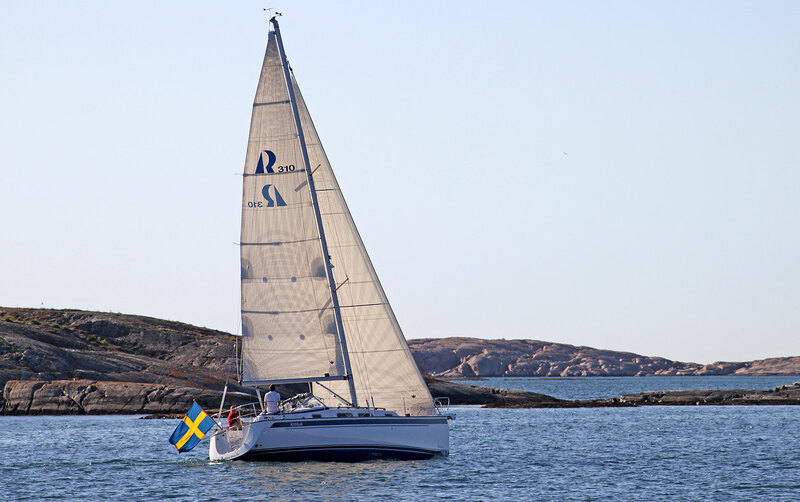 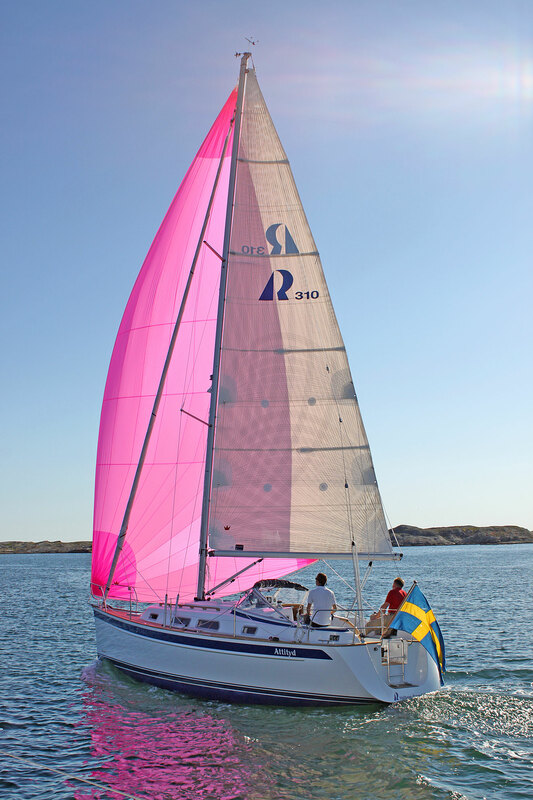 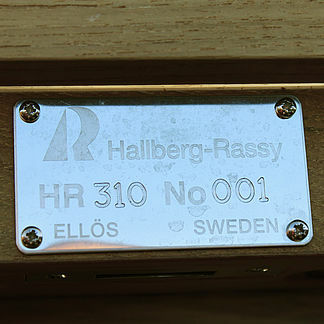 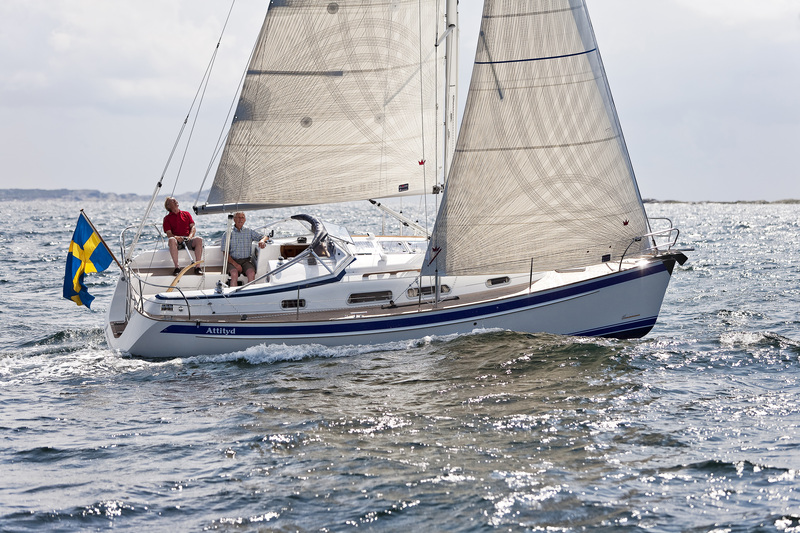 She won among 68 boats.The Hallberg-Rassy 310 is new to the market and the model is instantly selling well. 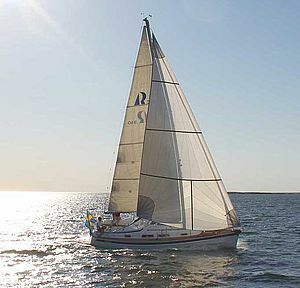 9.42 m / 30' 11"
8.80 m / 28' 11"
3.18 m / 10' 5"